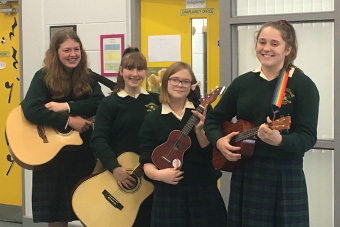 • Leaving Cert modern languages’ oral exams as well as music practical exams concluded this week for 6th year students as did 3rd Year Home Economics. • We welcomed students from Loreto Ballarat in Australia to the school on Thursday. 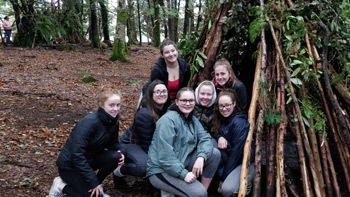 Twenty four students and four teachers visited Ireland as part of their 2019 Ireland and UK Pilgrimage. The students had a two night homestay with 5th year students. While at the school the girls attended classes and were entertained by the traditional music group and dancers. On Saturday the group visited Belfast and the Titanic centre. 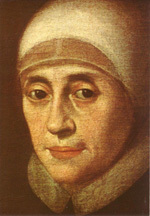 On leaving Ireland the group will travel to Scotland and England where they will visit Yorkshire, the birthplace of our foundress Venerable Mary Ward. The final part of their journey will take them to London. We wish them well with the remainder of their travels. We would like to thank all the fifth year students and their families for their generous hospitality. • Geography students can begin to record weather data daily as a new Stevenson’s screen has been installed at the school. Atmospheric pressure, rainfall and temperature readings will now be readily available. 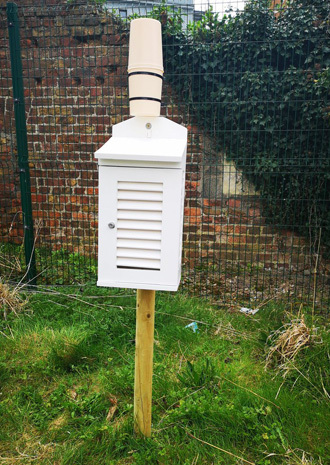 A wind vane and anemometer will be installed shortly, which will record wind direction and wind speed respectively. The daily recording of data is part of the international GLOBE Program. • All 2nd years are taking part in a Guidance initiative “The Sleep Programme” to enforce healthy sleeping habits as sleep has a huge impact on learning, memory, health and wellbeing. 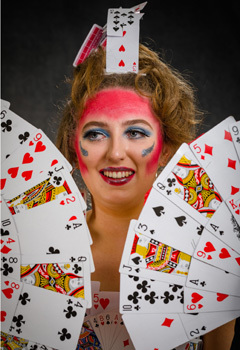 • Best of Luck to Giada Simeone who will perform in ’Ireland’s Got Talent’ on Sunday. • The cast and crew were extremely busy this week rehearsing for the musical ‘Hairspray’. Opening night is Tuesday 9th. The show will run until Friday 12th. 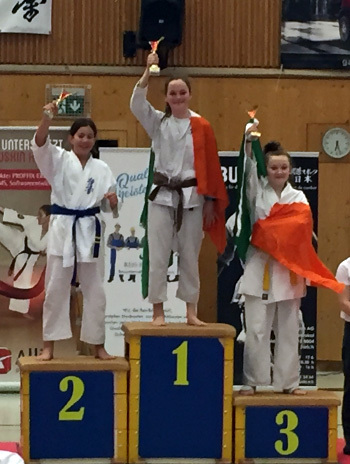 • Congratulations to Holly Fitzsimons-Mulhall, 1A, who was placed 3rd in her category in Kyokushinkai Karate at the International Pilatus Cup, Switzerland, recently. • Congratulations to the U14 Gaelic team who beat Holy Faith Clontarf during the week. 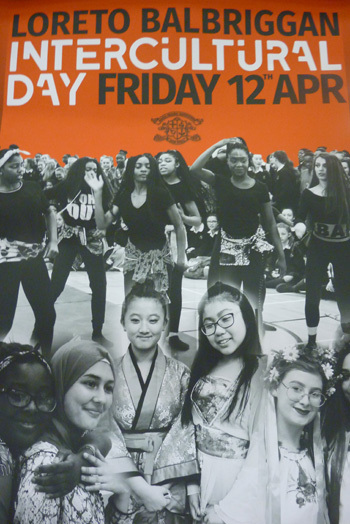 • Intercultural week commences on Monday 8th which will celebrate the many cultures that make our school community here in Loreto so special. • Saturday study will continue for 3rd and 6th years each Saturday. The cost is €3. 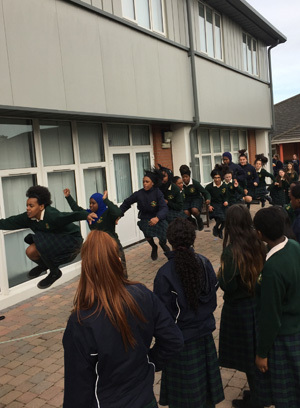 • 6th year students completed their oral Irish exam this week. The examiners praised the hard work of the students in preparation for the exam. Maith sibh, a chailíní. The girls will now have to complete their modern languages’ oral exam next week. 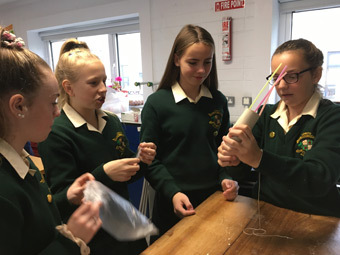 • 3rd year students have been very busy this week with Junior Cert practicals in both Music and Home Economics. Home Economics’ practicals continue next week. • On Tuesday all 3rd year students had the opportunity to attend History workshops which were held in the school library. week. All of the students enjoyed their trip to visit our ancient heritage sites. 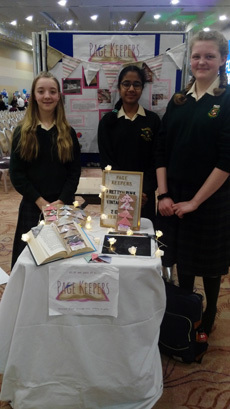 • Seven senior JPIC students represented the school at the Loreto Development Education Expo in Mullingar on Tuesday. The students showcased all their work on Justice & Peace during the year. This ranged from working for a Homeless charity to celebrating International Women’s Day. They shared ideas with other Loreto schools. Their presentation was powerful, a testament to the students’ enthusiasm and commitment to making a difference in the world. who reached the senior final and were highly commended by adjudicators. 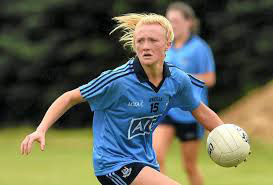 • The school is very proud of 4th yr student Emma Ring (above) who has been chosen to play U16 soccer for Ireland. 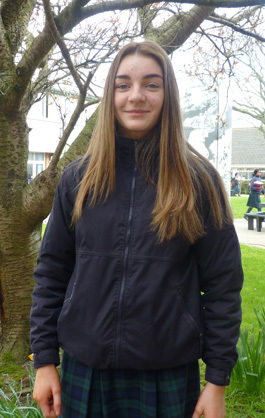 Emma will represent her country travelling to Belgium on Thursday, April 4 th . • TY Politics and Society students Alina Gull and Ella Power were invited to a reception at the Department of Justice and Equality on Wednesday. 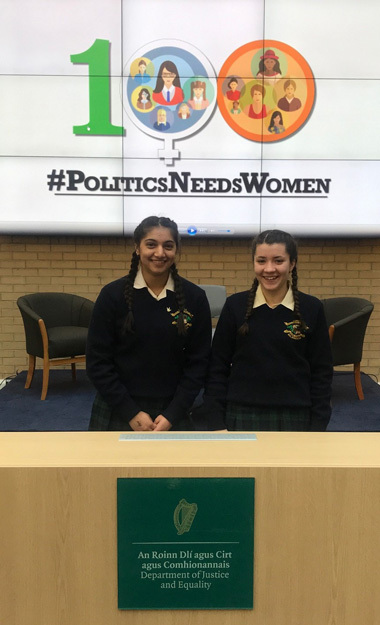 Earlier this year, the girls were nominated in a competition organized by the Department, ‘Why Politics Needs Women’. The girls made a video about the importance of women getting involved in politics and the video was screened during the reception. Afterwards they were brought on a tour of the Dáil hosted by Senator Ivana Bacik. • Congratulations to first year student Holly Fitzsimons Mulhall who travelled to Switzerland last week to compete in the Pilateus Cup for Karate and came third. 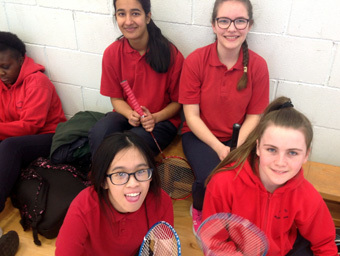 • On Thursday two of our Badminton teams travelled to Bray to compete in the Inter Loreto Badminton competition. Both teams came third in U16 and U19 sections. Congratulations to both teams. • Saturday study is available for 3rd and 6th years each Saturday 9am - 4pm. The cost is €3. • LC oral Irish exam will commence on Monday 25th March and continue until Friday 29th. • Mindfulness talks and how to manage exam stress continued for 6th years this week. 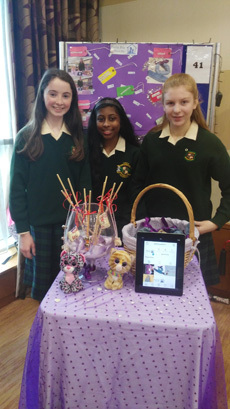 • A number of 1st, 2nd and TY students competed in the Fingal County Student Enterprise Competition on Thursday. 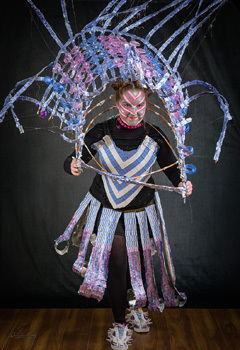 In the Intermediate section, the company ‘Pagekeepers’ was awarded first place , while “Kafoodles” came second. The girls also won best display. In the Junior section the company “Gifted” was awarded second place. Congratulations to all the participants on their achievements. 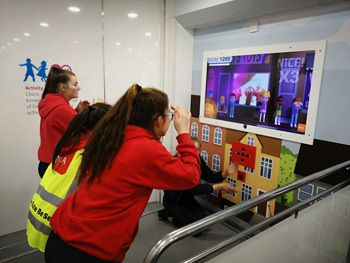 • The Road Safety Interactive Unit (Shuttle) visited the school on Thursday and Friday. TY students had the opportunity to visit the unit. 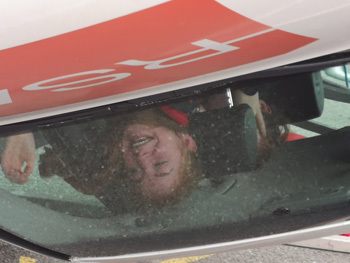 The girls enjoyed a fully interactive road safety experience in the shuttle, from practising their driving and cycling skills to experiencing simulated virtual situations. • 4E attended a very informative workshop on climate change on Tuesday. 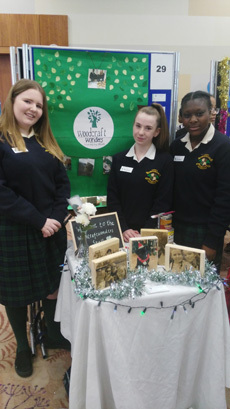 • TY students exhibited their literary projects on Wednesday in the atrium. • Congratulations to our four 2019 Golf Captains Kim Dalton (Balbriggan) Sarah Jane McNally (Skerries) Tegan Gordon (Laytown/Bettystown) Laura Clarke (Rush). • Today was Daffodil Day. The annual coffee morning took place in the staff room. 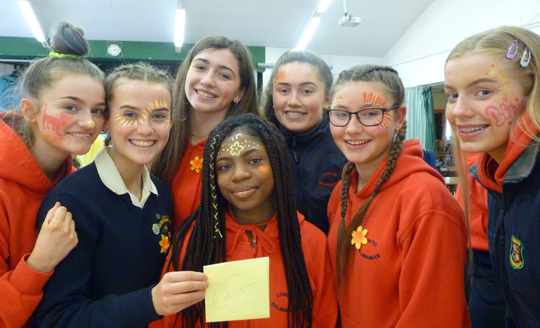 TY students on the fundraising committee have been busy all week selling daffodils, while today all students had the opportunity to have their face painted all of which raised much needed funds for this worthy cause. The amount raised was €1,212. • Saturday study is available for 3rd and 6th years each Saturday 9am-4pm. The cost is €3. • A number of 6th Years attended a mindfulness talk and how to manage exam stress. The talk will continue for the rest of the year group next week. 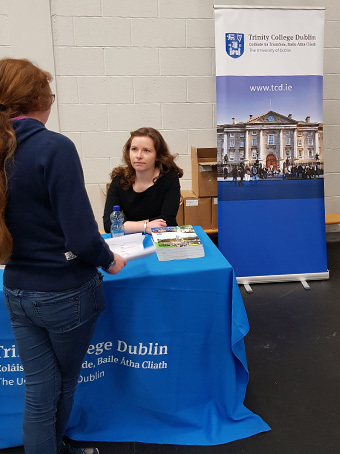 • All third year students attended a senior cycle subject options seminar and fair on Friday 8th . The girls learned about all the subjects available to them in senior cycle as they explore their future career options. All 3rd year parents were invited to attend a TY/ senior cycle information evening on Monday, 11th. Along with the various aspects of TY, parents were informed about the many subjects that are available to the students in senior cycle. • Bhí ‘Seachtain na Gaeilge’ againn an seachtain seo. Bhí neart mór imeachtaí ar siúl....ó comórtas seanfhocail agus cluichí boird go tóraíocht taisce agus céilí fiú. Dé hAoine bhí comórtas cáca. Bhí sé an deacair buateoir a fháil toisc go raibh an chaighdeán chomh h-ard. 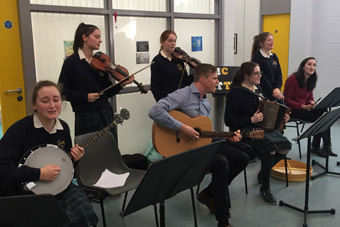 Shein an grúpa ceol traidisiúnta do fhoireann na scoile am sosa chomh maith. Bhí seachtain den scoth ag na cailíní go léir. • 31 third years attended a Shakespeare workshop on Tuesday. • Four third year students took part in the BSTAI table quiz in the Quinn School of Business UCD, on Wednesday. • This week was another successful week for the hockey teams in the North Side League. The minor premier and minor 2 beating Santa Sabina and St Wolstons respectrively in their finals. 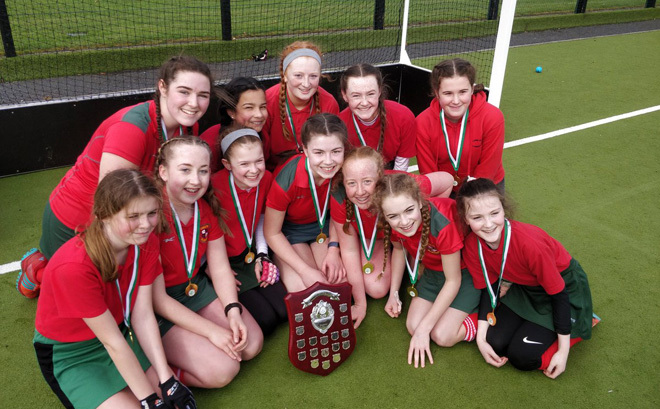 The beginner hockey team also enjoyed success in their final, eventually beating St Wolstons in an exciting penalty shoot out. 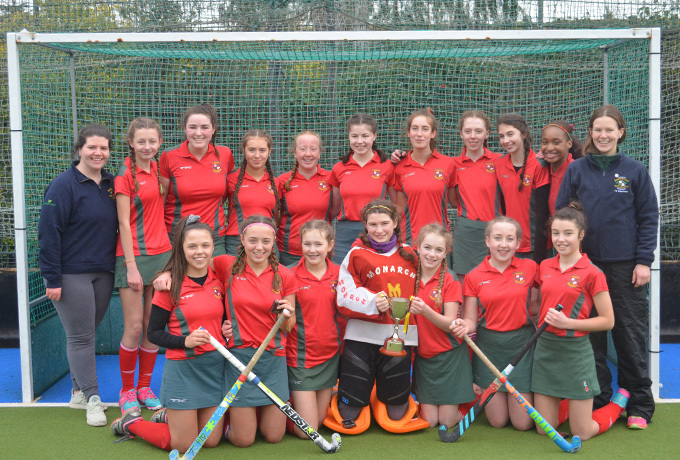 The senior premier were narrowly defeated in their final 1:0 by Santa Sabina. • Congratulations to Lauren Murphy who was 6th in the All Ireland Schools Cross Country on Sunday. 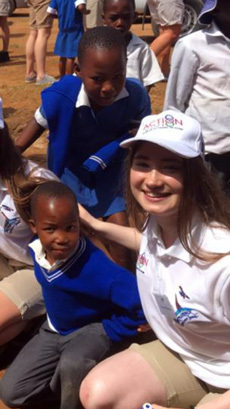 • TY students, Caoilfhionn Ní Mhadagáin and Grace McKenna travelled to an impoverished area of Lesotho in Africa with 54 students from Portmarnock Community School and Action Ireland Trust. They taught in the schools in the morning and helped to upgrade buildings in the afternoon. Both girls agreed that the whole experience was indeed life changing. 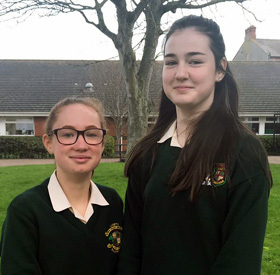 • Congratulations to Kim Dalton (Balbriggan Golf Club) Tegan Gordon (Laytown/Bettystown Golf Club) and Laura Clarke (Rush Golf Club) who were appointed Junior Girls’ Golf Captains 2019. We wish all the girls the very best for the coming year in their new role. 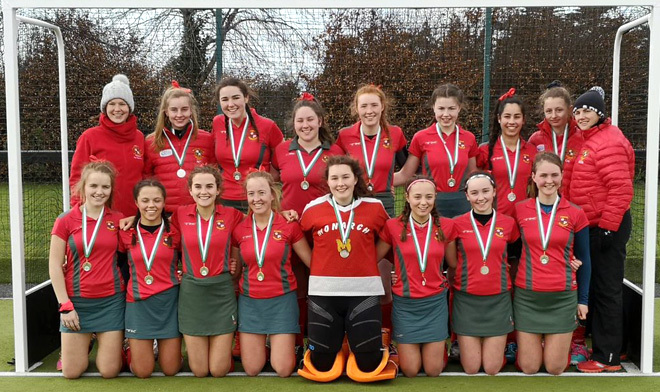 • Congratulations to our Junior Hockey team who became Leinster Junior Champions beating Loreto Bray 2-0 in the final on Friday. 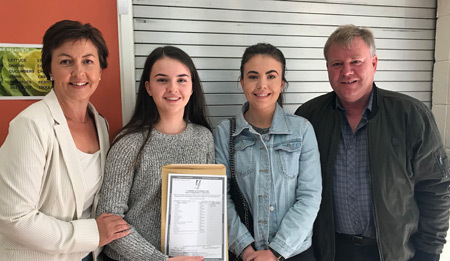 • All third year Irish students completed their Oral Irish exam this week, it is a very important part of their Junior Cert exam as it accounts for 40% of their overall result. Maith sibh a chailíní. • Mock orals in Irish, German and French continued this week for 6 th Years. 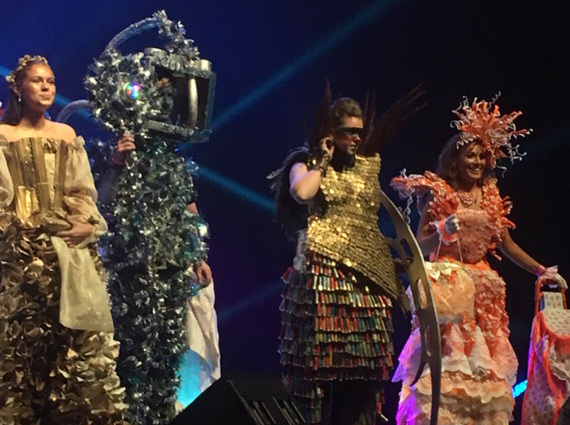 • Congratulations to all students on their performances in the Junk Kouture semi-finals in The Helix last Tuesday night. 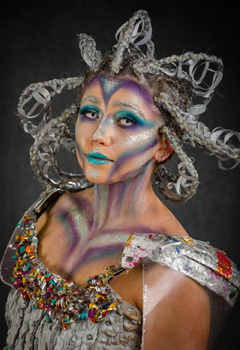 Well done to Tara White on reaching the final with her creation “ Valhalla “ We wish Tara the very best of luck in the final which will take place in the Three Arena on the 2nd May. 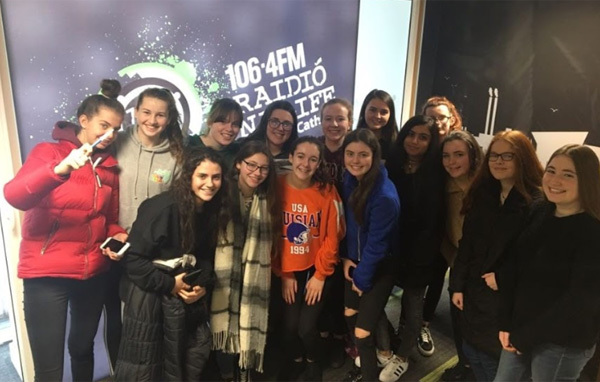 • A number of students took part in a Radio workshop on Tuesday. 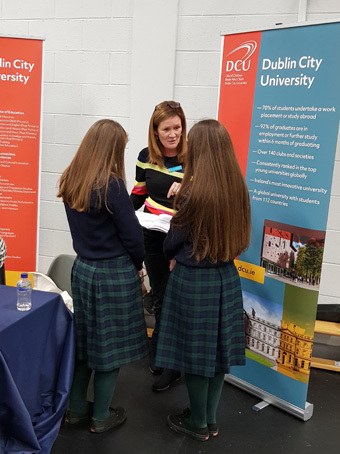 • Forty students attended PEXPO on Wednesday in DCU. Caitlin Stewart TY entered her project and was given very positive feedback. Third year students also made a presentation on 20+20, a campaign to highlight “women in sport”. 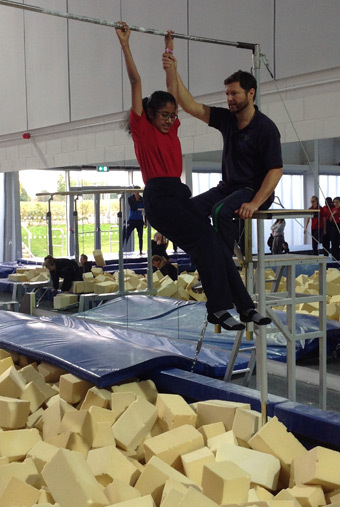 Ten first year students performed a gymnastics routine. 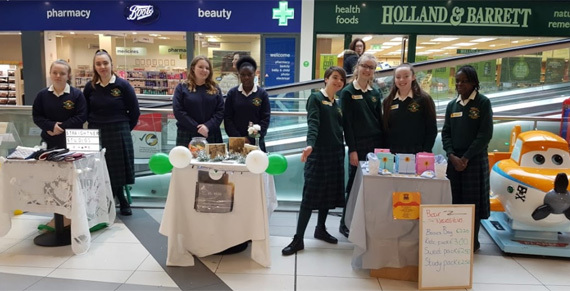 • Loreto Balbriggan Student Enterprise groups were busy selling at their Pop Up Market in Millfield Shopping Centre on Thursday. • Some first and second year students took part in a Taekwondo workshop on Wednesday. • On Friday we celebrated International Women’s Day. The students were encouraged to reflect and think about women who have inspired them in their lives. Emmeline Pankhurst, Bessie Coleman, Maria Montessori, Wangari Maathai were among the inspirational names who made the list. • Junior Cert students began their Irish oral exam on Friday 1st. The exam will continue until Friday 8th of March. This is a compulsory part of the JC exam and accounts for 40% of the total marks allotted. 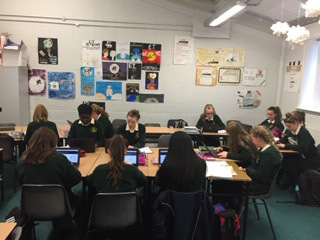 • Mock Irish, German and French orals started this week, after school for Leaving Certificate students. • Twenty seven senior Geography students spent the midterm exploring Iceland. The girls visited the Blue Lagoon, Seljalandsfoss, Skógafoss and Gullfoss waterfalls. Other activities included trekking along the Keryd volcanic crater, visiting the Pingvellir national park and walking along the course of one of the largest glaciers in Iceland. The girls also saw the northern lights. The students were complemented about their excellent behaviour and how well they represented their school and country abroad. 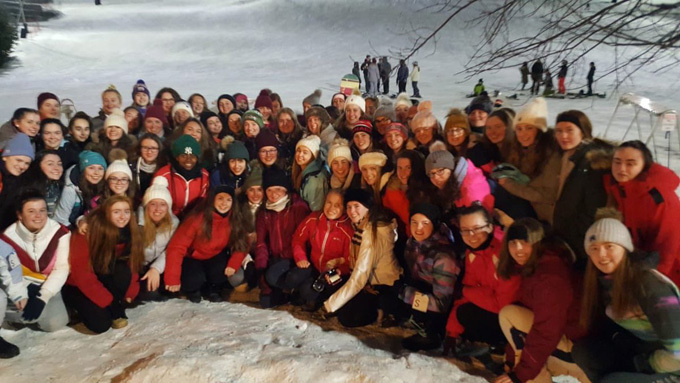 • A group of 5th year students travelled to Canada for the annual Ski trip during the mid-term. 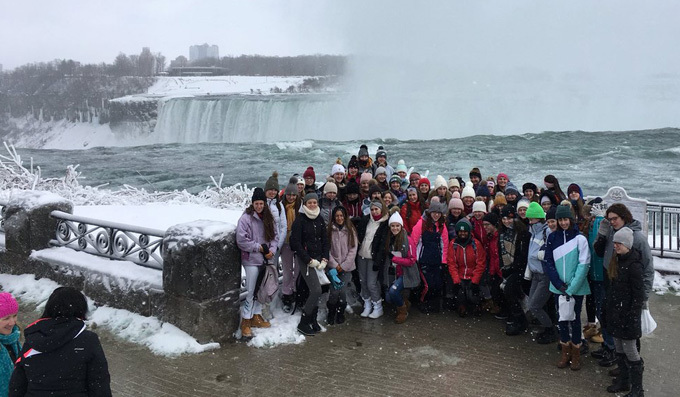 They took in the sights of Niagara Falls before heading to the resort of Blue Mountain, located north of Toronto. 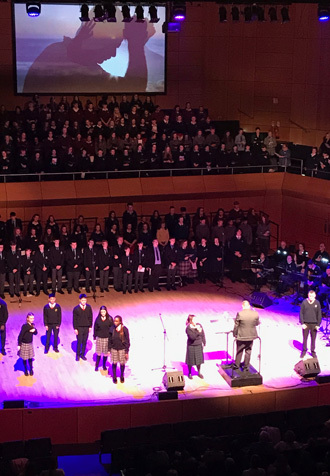 • Congratulations to the senior choir who performed in the Emmanuel concert, which took place in the Helix on Wednesday evening. 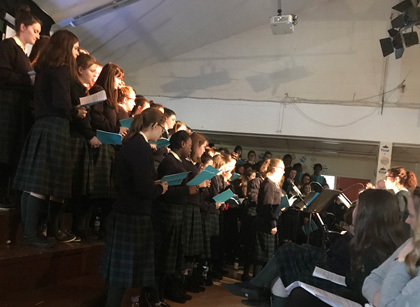 Aoife Kenny, Maeve Cope, Alice Morgan, Sydney Sterio and Gwen Samuel sang solo pieces as well as being part of the 500 strong choir. 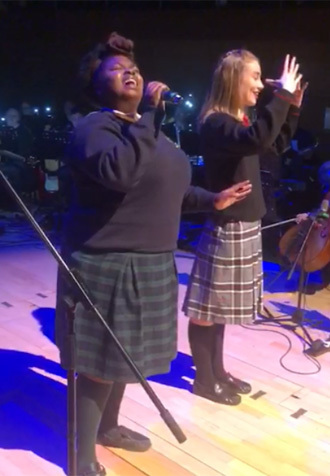 Gwen’s rendition of Amazing Grace was so special she was invited back to perform the following evening for the closing night of Emmanuel 2019. More than 2500 students from 70 different schools performed this week in a series of concerts celebrating liturgical music in schools. This annual event is organised by the Archdiocese of Dublin. • All 4th year students attended a workshop run by “Develop Me” group. This workshop enabled the class to develop the skills of problem solving, planning and communication while working together as a team. It provided to be a very enjoyable and educational whole class activity. 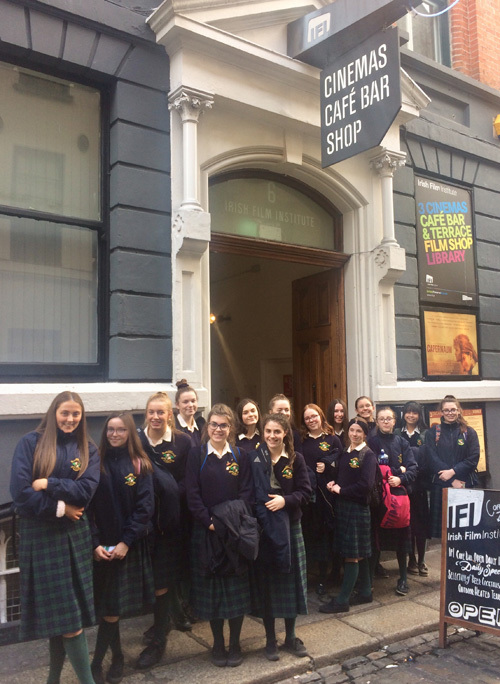 • A number of TY Film Studies students visited the Irish Film Institute on Thursday for a 'Careers in Screen' Day. Students enjoyed a number of seminars, including those on how to pursue careers in cinematography, acting, animation and many more. • Seventy five 5th year students will leave on Sunday 17th to travel to Blue Mountain, Toronto on the annual ski trip. • Twenty seven senior Geography students will visit Iceland during the midterm break. The trip includes visiting the Blue Lagoon, the Great Geyser Strokkur and the Pingvellir National Park as well many other attractions. The group will stay in Reykjavik. The trip is an amazing opportunity for the girls to see in reality many features that they are studying in preparation for the LC. 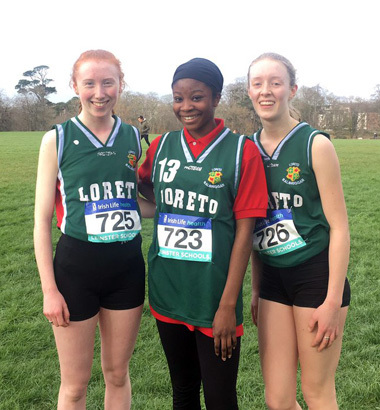 • Congratulations to Lauren Murphy, Stephanie Olayia and Rachel Smith who competed in the Leinster Schools’ Cross Country Competition on Wedenesday. • Students completed their 3 week work placement programme on Friday. The students were visited by members of staff in their various work settings and received very positive feedback from all the employers. Once again the girlsfound the whole experience to be interesting and worthwhile. 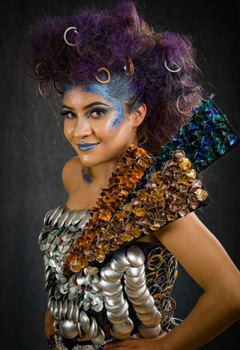 • Voting is now open to the public for Junk Kouture entries. Check Junk Kouture website for details. • The 5th Year parent teacher meeting will take place on Tuesday, February 26th, 4.15-6.45pm. Students will finish classes at 2.45pm. • The school will be closed for midterm break from Monday 18th - Friday 22nd and will reopen on Monday 25th at 9.10am. 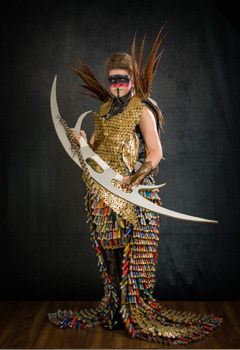 • Fourteen teams have reached the East regional finals of the Junk Kouture competition. 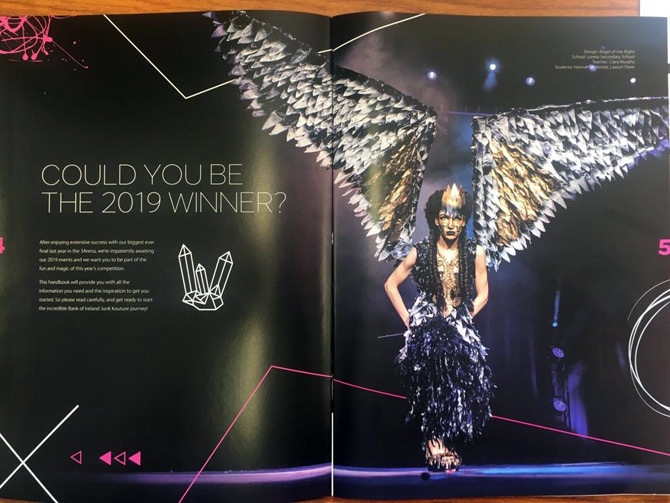 For the second year running Loreto Balbriggan is the only school in the country with such a large number of costumes in the regional finals. 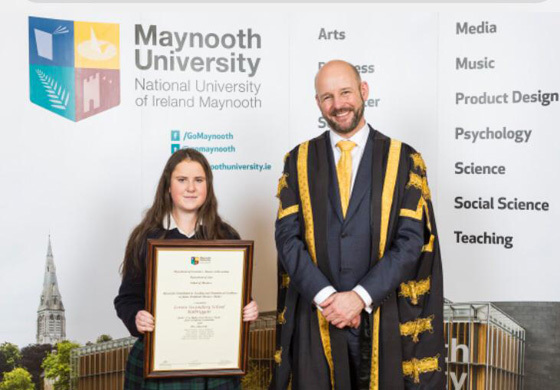 • TY students were acknowledged by Maynooth University for their academic excellence in Business Studies. 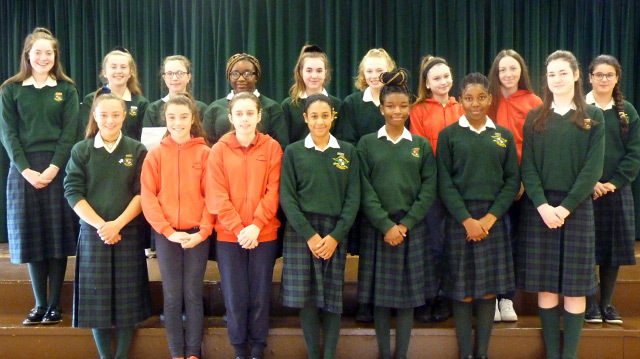 Ten of our students achieved A grades in their Junior Certificate. Pictured below is Nessa Bollard who accepted the award on the school’s behalf. • Mock exams continued this week for 3rd and 6th year students and will finish on Friday 15th February. • 240 students took their first steps on their journey through secondary school when they sat their entrance exam on Friday. We look forward to welcoming the girls in August. • 5th Year Parent Teacher meeting will take place on Tuesday February 26th 4.15-6.45pm. Students will finish classes at 2.45pm. • TY students have completed week 1 of the three week work experience programme. Students have secured work placements in a wide area of disciplines from An Garda Síochána, Law Firms, Nursing Homes to Primary Schools. 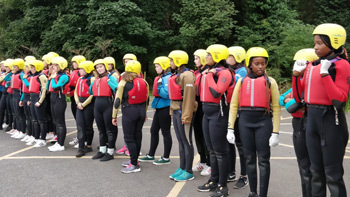 The programme offers the girls an opportunity to experience working in their preferred field and seeing first-hand the day to day activities involved in their potential career choice. • We celebrated Catholic schools week this. The theme was ‘Celebrating Diversity in our Catholic School’. • On Thursday, 3rd years went on a CSPE tour to Dublin. 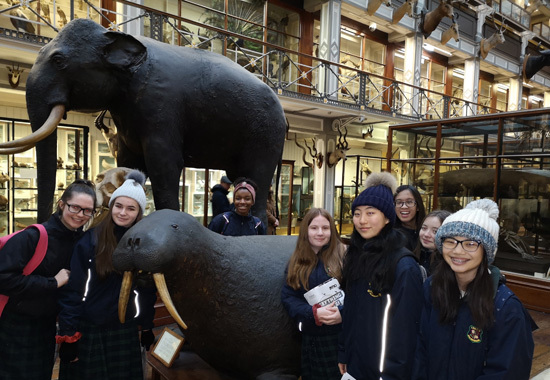 The girls visited the Natural History Museum and Dáil Eireann. The tour of Leinster House finished with a Q&A session with TD Darragh O’Brien. • On a fete une semaine de la francophonie cette semaine. 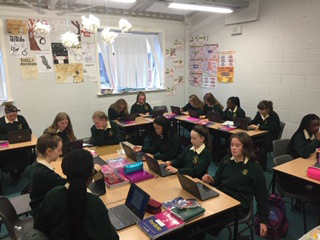 Many of the activities for the week included a french proverb quiz, ‘petie déjeuner’ for 1st years while 2nd years attended a French film in Drogheda Arts’ Centre. 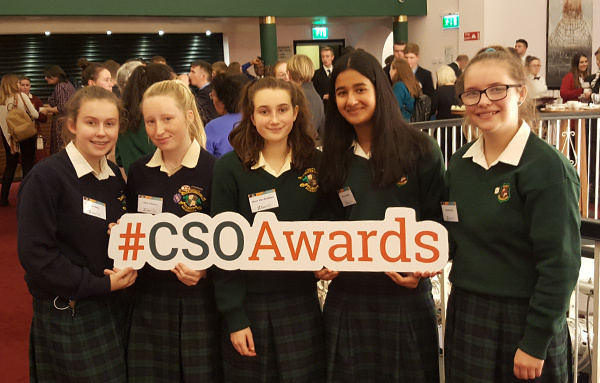 • Transition Year students Orla Young, Aoife Sweetman, Zainab Shahid, Sadhbh Mackey, Iman Khan, Andrea Hickey, Nessa Bollard, Hazel Austin, Cleo Gallen and Ella Shanahan, attended a ceremony in the Lochlann Quinn School of Business in UCD on Wednesday 16th, January. 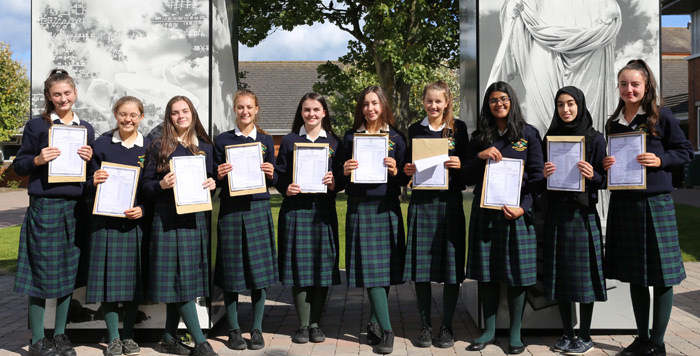 The girls were invited to the ‘Celebration of Business A Grades’ which acknowledged their outstanding JC results in business studies. • This week we celebrated the birth of Venerable Mary Ward, our foundress. 1st and 6th year students attended assembles based on her five values of truth freedom, sincerity, justice and joy. Each morning started with a special thought for the day. The students learned more about Mary ward’s life in Religion classes. 2019 celebrates 500 years of Loreto education. 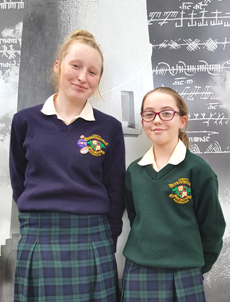 • Congratulations to Eabha McLoughlin and Doireann Comiskey for progressing through to the quarter finals of the UCD Junior Debate on 24th January. • Best wishes to all our TY students who are starting their three week work experience next Monday. 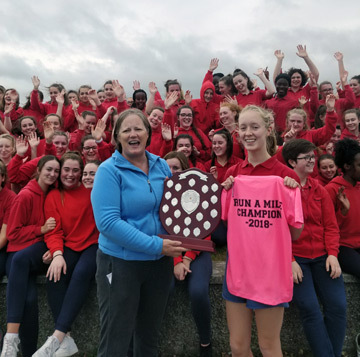 • Congratulations to Lauren Murphy who came first in the North Leinster Cross Country competition in the Phoenix Park. Lauren recently represented Ireland in the U20’s 4000m cross country competition in Belfast. Congratulations to the Senior team who came second. 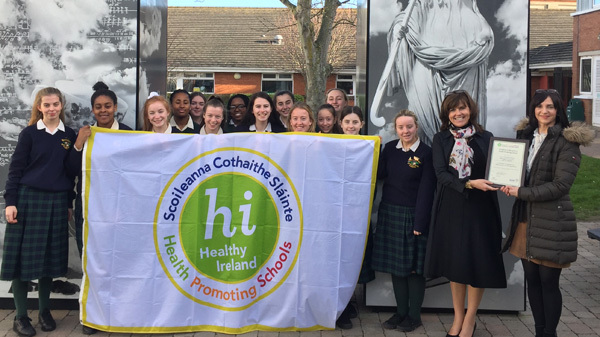 • We are the latest school in the country to be presented with the Health Promoting Schools’ Flag’ by the HSE as an acknowledgement of our efforts in improving the health of the school community. The Health Promoting Schools programme supports schools in focusing on health and wellbeing and involves all members of the school community. Monica Mc Crory presented the Flag on Thursday. 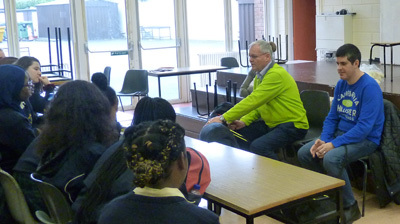 As part of our healthy living week a number of invited guests spoke to the students. 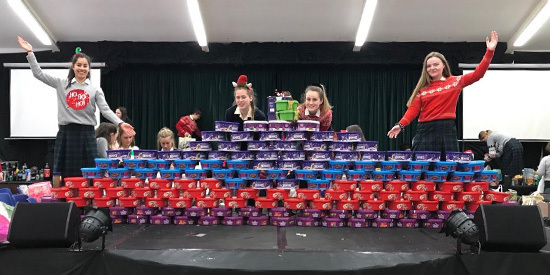 They included Caoimhe Rudden, Irish Heart Foundation, Adrienne Foley, HSE Oral health Promoter, Anna Ryan, Nutritional Therapist and Edel McNamara, Senior Community Dietician. 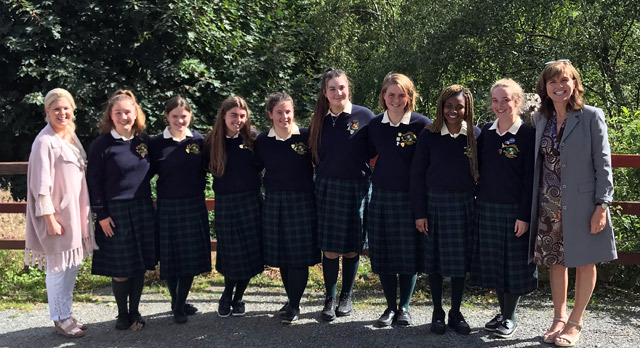 • Congratulations to Emily O’ Sullivan (5G), Alessandra Grosariu (5G), Emma Morkeliunaite (5A) and Adesuwa Ugiagbe (4C) who competed in the Senior Loreto Mace Debating competition this week in Loreto Clonmel. 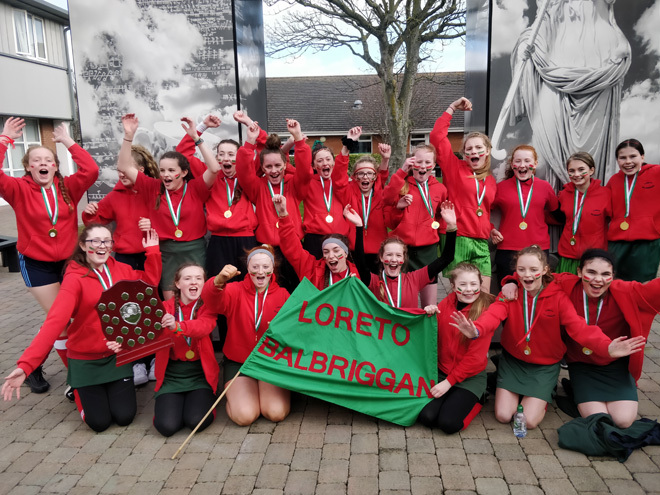 Both Loreto Balbriggan teams performed to an extremely high standard and progressed to the final stages. 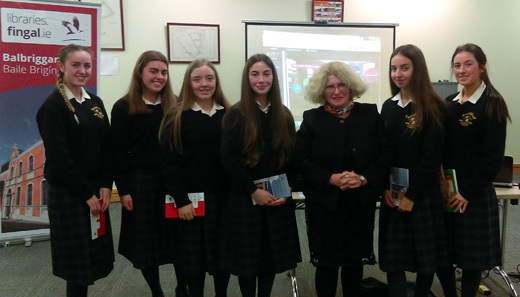 • 30 sixth year students attended a Shakespeare workshop in Balbriggan library on Monday. • All TY students attended a talk on social anxiety on Monday. • TY students are busy preparing to go on work experience starting Monday, 28th January. • On Thursday the Ember group attended an Ember reunion in All Hallows College. The team presented a symbol that represents their work as Ember leaders and they had the opportunity to reflect on their work to date. • Best of luck to sixth year student Lauren Murphy who will represent Ireland in the Under 20's, 4000 m cross country this Saturday in Belfast. 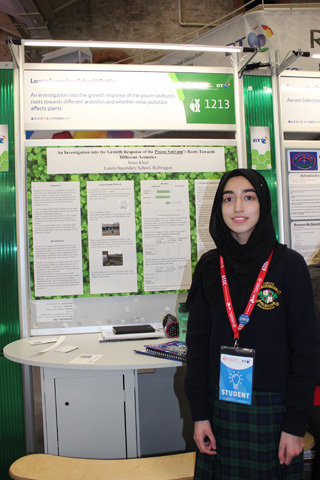 • Congratulations to all of our students participating in this year's BT Young Scientist and Technology Exhibition in the RDS, in particular Cleo and Zainab who took first prize in their category, Intermediate Chemical, Physical & Mathematical Science, as well as the special award from the EPA, Environmental Protection Agency. 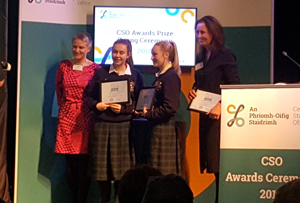 Four of the Loreto Balbriggan projects were highly commended, a reflection of all the hard work put in by students and their teachers. 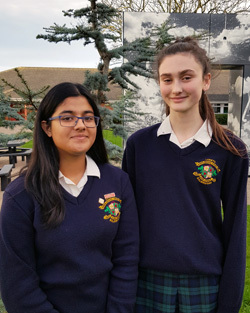 Cleo and Zainab have been invited to take part in the BT Business Bootcamp 2019. 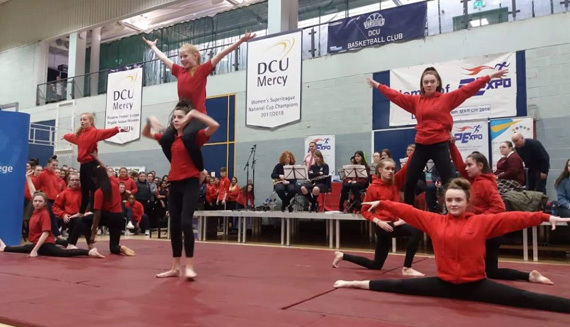 All the competitors have been invited by the Mayor of Fingal to a reception to celebrate their success in the Council’s offices on February 11th. Congratulations also to Skerries Community College on the work of the overall winner, Adam Kelly. The titles of the projects we had accepted into the exhibition this year are listed below. Hover over the title to read the abstract. The Impact of Exposure to Ethnic Music on Cultural Attitudes - Delia Istoc & Kate O’Driscoll. An Investigation into the Growth Response of the Pisum Sativum’s Roots Towards Different Acoustics - Iman Khan. Can we make biodegradable clothes effectively? - Eva Connolly, Ella Shanahan & Willemijn Bosschaert. Does umami affect your perception of taste? An investigation into the effects of monosodium glutamate on our perception of sweetness and saltiness. - Katie Caffrey & Eve Mathews. Replacement of Polyethylene Microbeads with Sustainable Biodegradable Alternatives - Cleo Gallen & Zainab Shahid. 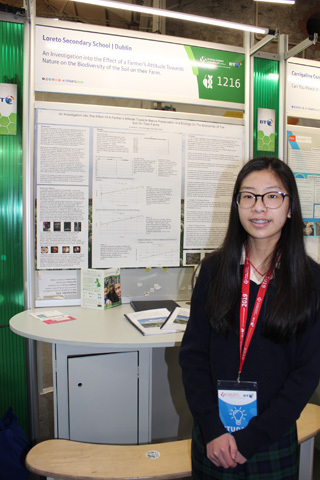 An Investigation Into the Effect of a Farmer’s Attitude Towards Nature Preservation and Ecology on the Biodiversity of the Soil on their Farms - Selina Xu. • 15 Students studying Politics and Society will be in the audience of the ‘Claire Byrne Live’ show on Monday evening. 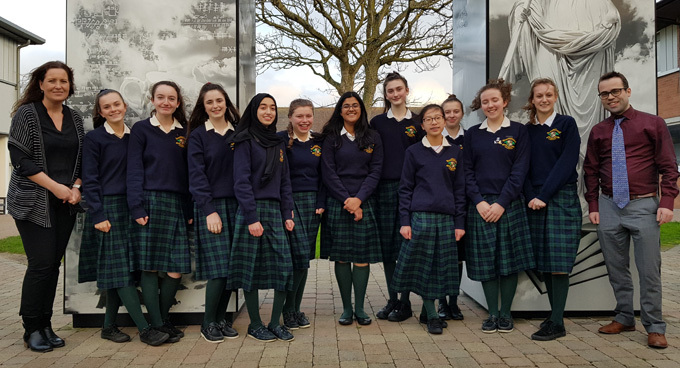 • Congratulations to Hannah Cullen, Alana Foy-Nicolleau, Mizna Shahid, Jennifer Bura, Éabha McLoughlin and Doireann Comiskey who competed in the Junior Schools’ debating competition in UCD. 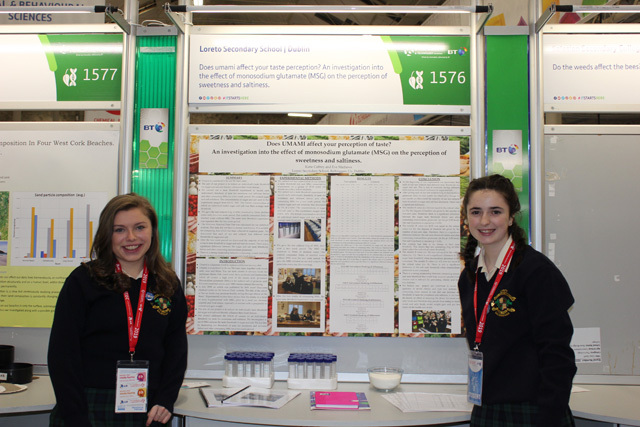 Out of 182 teams who competed, Éabha and Doireann were one of the 32 teams who progressed to the final stages. 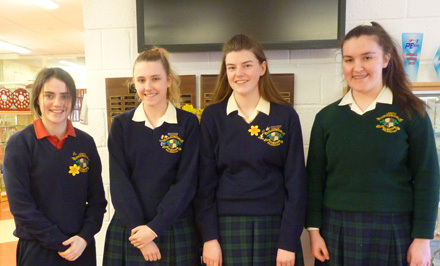 • Well done to Adriana Ciot, Claire Johnson, Nikolet Serbezova and Marianne Casey on competing in the annual Inter-Loreto Mace debate on Friday, 11th January in Loreto Crumlin. Great support was given from their first and second year school mates. 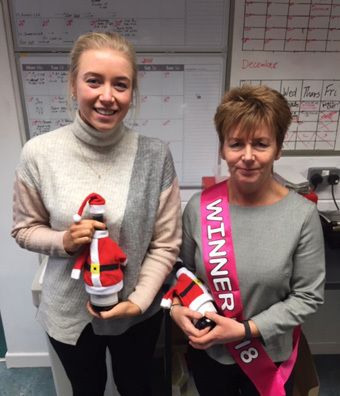 Congratulations to Marianne and Claire for making it through to the semi final. • Welcome back to all our students and we hope it was an enjoyable Christmas break. • 2nd Year Parent/Teacher Meeting will take place on Thursday 10th January 3.15-6.45pm. • Evening study is offered to all students for free this week. Details re. evening study for the remainder of the year will be posted shortly. 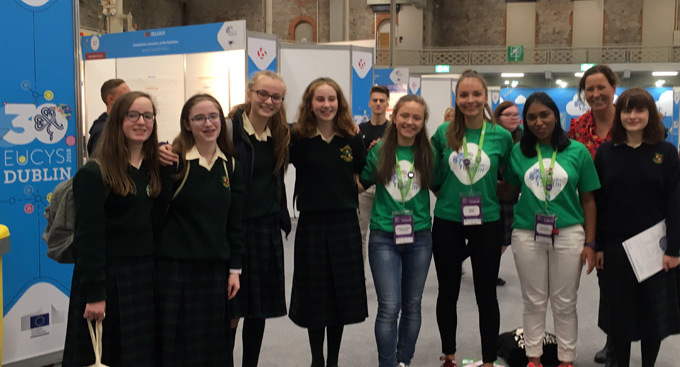 • Best wishes to all of our students participating in this year's BT Young Scientist and Technology Exhibition in the RDS. The students are presently putting the final touches to their projects, dotting all their i's and crossing their t's, to complete what has been a tremendous effort over the last few weeks and months. The titles of the six projects we had accepted into the exhibition this year are listed below. Hover over the title to read the abstract. 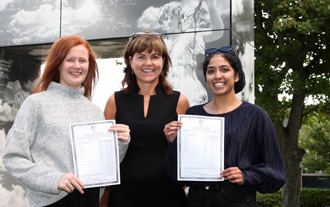 • Congratulations to Zainab Shahid and Ella Shanahan on receiving upgrades to their Junior Certificate results. This brings to five the number of students that received straight A's in the exam. Well done girls. • On Thursday we had our annual Carol Service. The theme this year was ‘Celebrating Family’ as we all know there are many different types of family. In this busy world that seems to demand a lot more from us we often find we have less time to spend with our loved ones. During this Christmas period let us pause and reflect on the importance of those loved ones, sometimes friends, often family. Developing a strong relationship with our loved ones takes time and effort. Building strong bonds based on love, respect and kindness helps us all to grow and mature. So as we celebrate the birth of Jesus, born into his own special family let us celebrate our own family be grateful that they are in our lives and cherish them. • We would like to wish everyone a very Happy Christmas and a peaceful New Year. • Supervised study will be available to 6th and 3rd Year students on DEC 28th, Dec 31st and January 2nd, 3rd and 4th. The cost is €3 per day. The times are as follows: 9.10am -12.30pm and 1.30pm-4pm. Students in the past have found this to be of great benefit and we would encourage the girls to participate. • This week all 3rd Year students attended a study skills programme. • Stress buster workshops run by Jigsaw were held for 5th years on Tuesday. 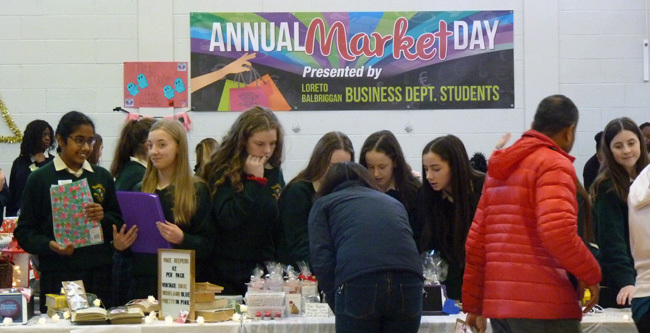 • Business students held their Annual Market Day on Friday. The event was opened by Evelyn Garland, past pupil and owner of ‘Fit Food’. Evelyn who has appeared on ‘Dragons’ Den’ with her product also spoke to 5th and 6th Business students. This year over 30 stalls exhibited their products. Once again students excelled themselves with their new and innovative ideas. 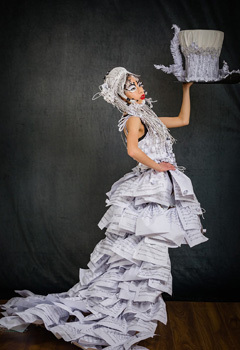 • The festive season got off to a wonderful start with a gala evening of music on Thursday. All present were entertained by the musical talents of the many students who performed seasonal pieces and created such a wonderful atmosphere. 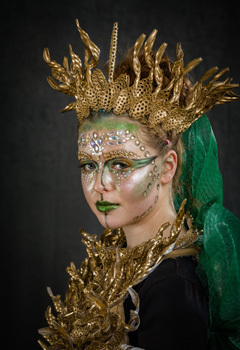 • The TY Junk Kouture fashion show was held in the school on Tuesday and Wednesday evening. Once again the students surpassed themselves with their wonderful creations. 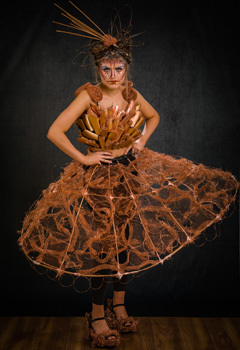 The students will now go forward to the National Junk Kouture Competition . 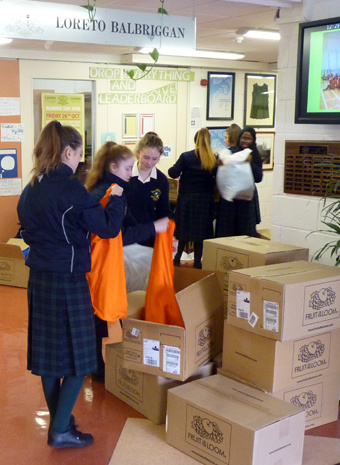 • On Wednesday the TY St. Vincent de Paul Committee along with the Student Council organised the annual food drive. Many thanks to all the pupils and staff who kindly donated to this very worthy cause. 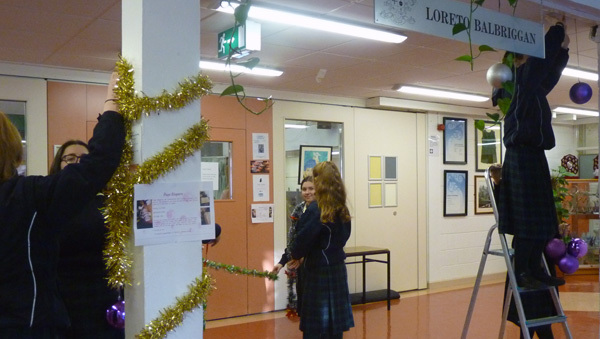 The spirit of Christmas is well and truly alive in Loreto Balbriggan. • Chuaigh ceithre dhuine dhéag cáilín go dtí an chúrsa cumarsáide í nGael Linn an tseachtain seo caite. 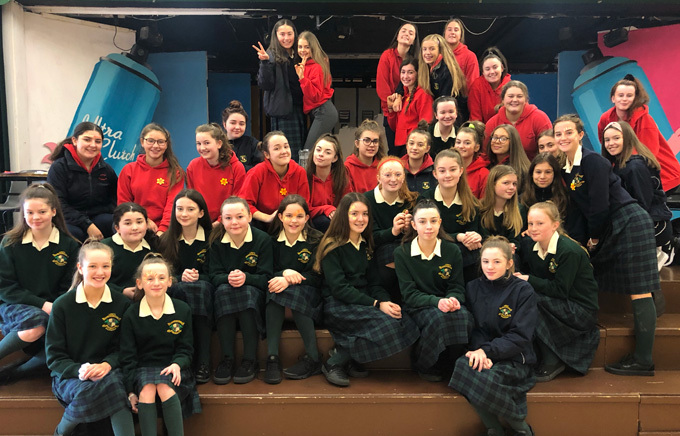 • TY students organised Weinachfest for junior students on Thursday morning.It was a great opportunity for the girls to learn about Christmas traditions in Germany and Austria. • All staff attended Junior Cycle training day on Friday. 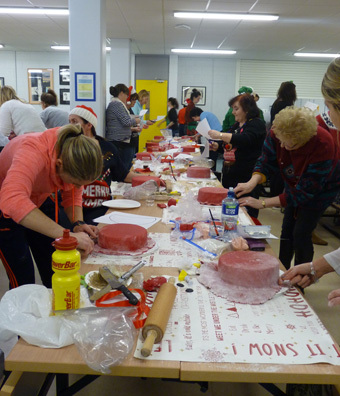 • On Wednesday after school the staff enjoyed decorating their Christmas cakes under the expert supervision of Ms. Ryan, Ms. Curley and Ms Grimes. Creativity and competitiveness were very much apparent! • Our annual St. Vincent de Paul food drive will take place on Wednesday 12th December in the hall from 8am-10am. Help us to fight poverty in Ireland by donating non-perishable foods such as boxes of sweets, biscuits and tinned foods. All students who donate can wear their Christmas jumper to school. There will be a prize for the best jumper. Please donate and give the gift of kindness in this season of good will. 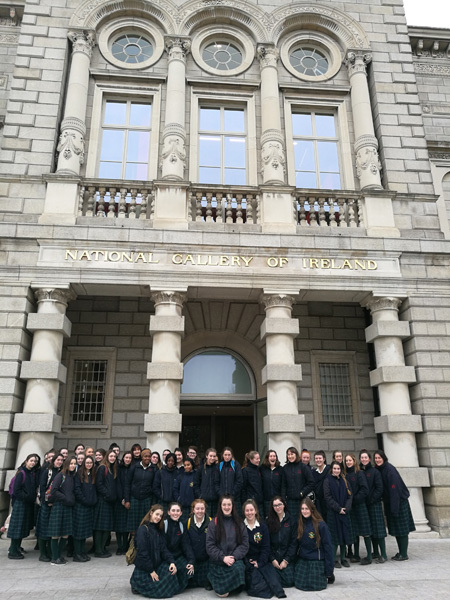 • 6th Year Art students visited the National Art Gallery on Tuesday. 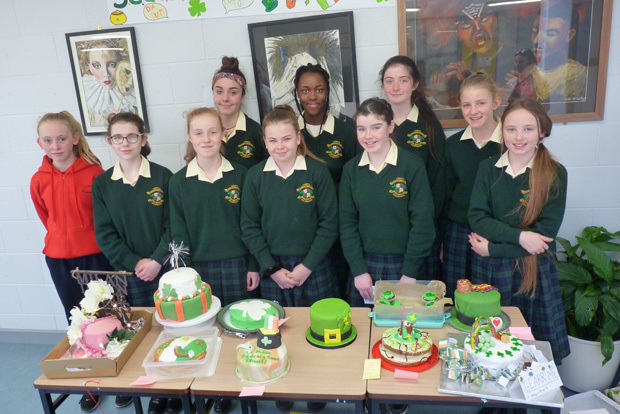 • Congratulations to Emilie Molloy 2nd yr and Marie Weldon 5th yr. Both qualified for the Jigsaw Christmas Card competition. 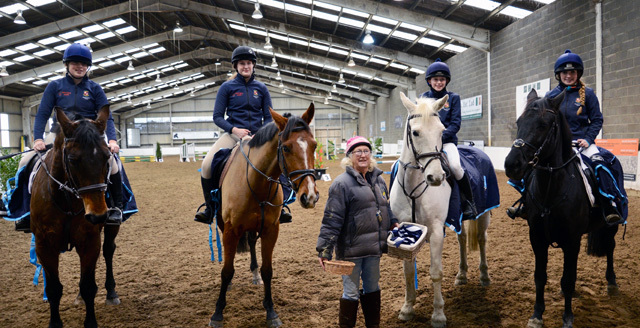 Emilie came 1st in the Junior Category and Marie came 3rd in the senior category. Their cards are now being printed and will be sold by Jigsaw to raise funds for the local Mental Health agency. 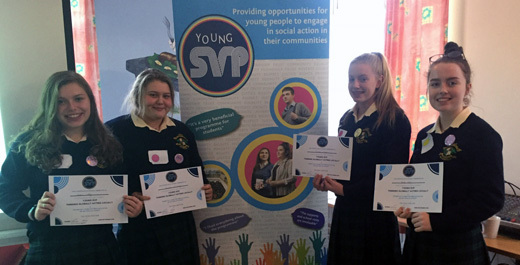 • TY students Khadija Fasetire, Ella O’Rourke, Cleo Gallen and Tegra Alphonsine-Kaiku attended a training afternoon in Prosper Fingal in Skerries on Tuesday as part of the “Make a Difference” programme this year. As ambassadors, they will present to their peers on the importance of recognising and including all members of our community. • The JPIC group attended an inspiring talk given by Mary Kilgarriff on the outreach program for the Homeless in inner city Dublin. The students collected hats, scarfs and gloves for the homeless which they presented to Mary. They gained many insights into the difficulties of life on the streets and the scant provision of services available. 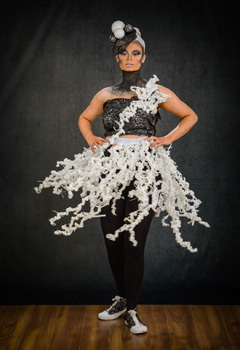 • Art students were busy this week rehearsing and adding the finishing touches to their creations for the Junk Kouture fashion show which take place on Tuesday 11th and Wednesday 12th of December The show will begin at 7.30pm. 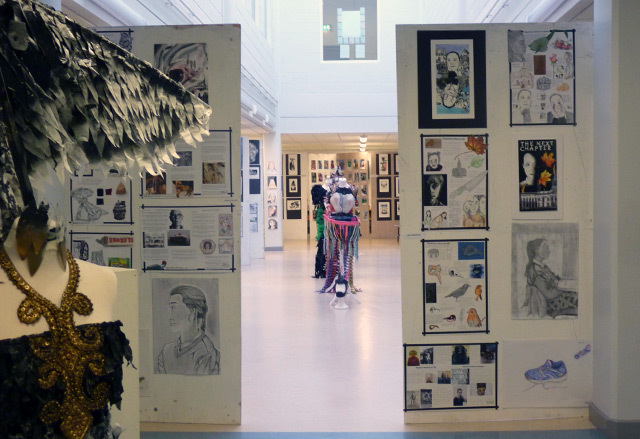 Tickets to this creative extravaganza will be on sale in the foyer at lunchtimes. Reminder: The school will be closed to students, on Monday 10th December as per school calendar and also on Friday 14th December for staff development and training. • 1st, 5th and 6th year Christmas exams concluded this week. 2nd and 3rd year students continued to prepare for their CBAs which will take place in December. 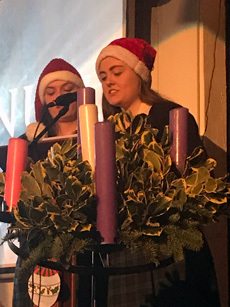 • Congratulations to our Senior Choir who along with the Senior Choir from Loreto Bray performed for the Loreto Education Network conference in Killashee Hotel on Saturday 24th November. They performed two songs and a samba piece. • Represenatives from the Guide Dogs Assoc. gave a talk to students about their work with the visually impaired. During December there will be Christmas cards, calendars and teddies on sale in the school to support this worthy cause. • A number of TY students were invited by Fingal CoCo on Friday to take part in an iniative regarding future development plans for Balbriggan. 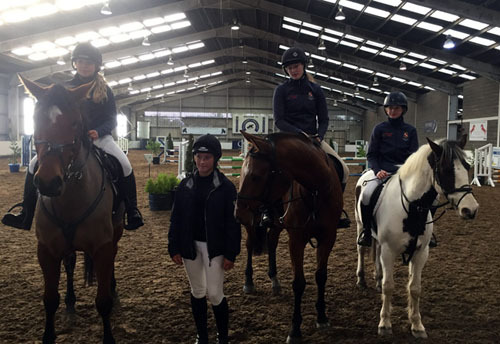 • Congratulations to Ally Gormley, Meghan Rogers, Kate Barrett and Ruth Barrett all members of the Equestrian Team who came first last weekend in the Inter Schools League. • 1st Year Parent Teacher Meeting takes place next Monday 3rd Dec from 4.15-6.45pm, students will finish at 3.45pm. • Reminder: The school will be closed to students, on Monday 10th December as per school calendar and also on Friday 14th December for staff development and training. 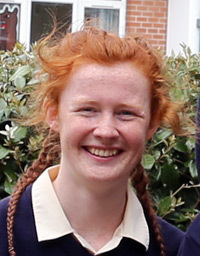 • Best Wishes to to Ishbel Daguman, 1st year, who will be appearing on the Late Late Toy Show tonight. 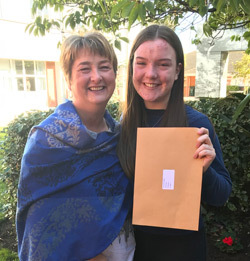 • Congratulations to Ellen O’Driscoll who was recognised at the Trinity’s Entrance Scholars’ Awards for her high achievement in the Leaving Certificate examination. 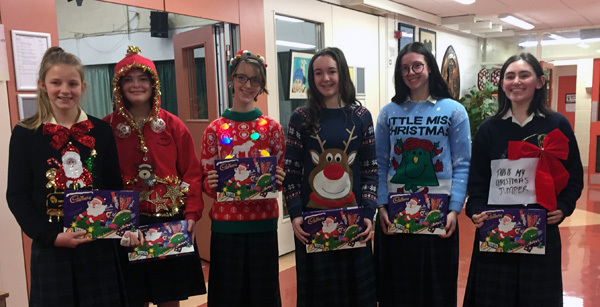 • 1st, 5th and 6th Year students began their Christmas exams this week. Exams will continue until Wednesday 28th. • 2nd and 3rd year students are preparing for their CBAs which will take place during December. 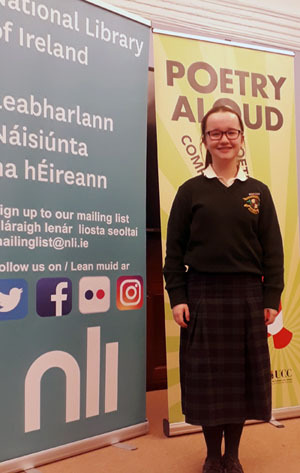 • Zara Stafford competed in the semi-final of the national poetry competition ‘Poetry Aloud’ at the National Library of Ireland. 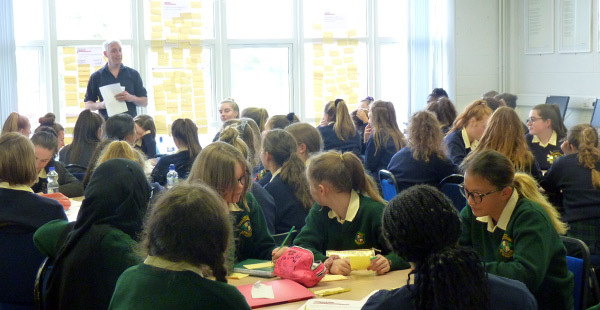 • 20 TY students took part in a “Volunteer For All’ committee workshop on Friday. 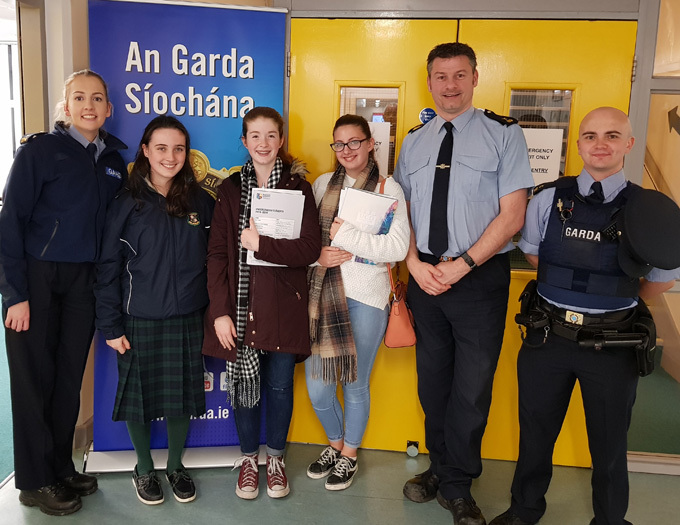 • 27 TY students took part in a Public Access to Law course on Tuesday. 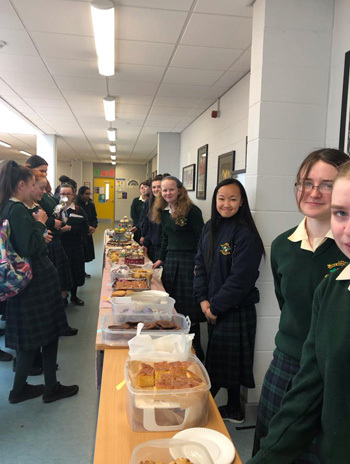 • Fundraising continued for Rumbek on Friday and Saturday where a number of TY students helped with bag packing in SuperValu. The final amount raised will be announced next week. 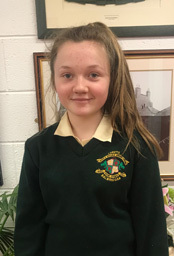 • Congratulations to Carla Wardell who came 13th in the Leinster Irish Dancing Championships. 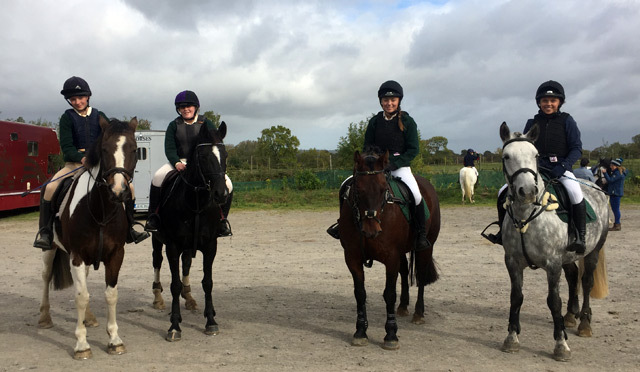 • The equestrian team continued their success in the Killossery League on Sunday. The senior team came 2nd and the league continues this coming weekend. • Our annual Remembrance Evening will take place on Thursday at 7.30pm in the hall. It will be an evening of poetry, music and reflection as we remember all those who have died in our Loreto community. All welcome. • The school will be closed to students next Tuesday, 27th, for staff training. 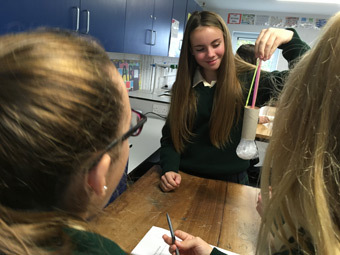 • Throughout the week the students attended various events as part of Science week . They also carried out experiments and observed dissections in their science classes. 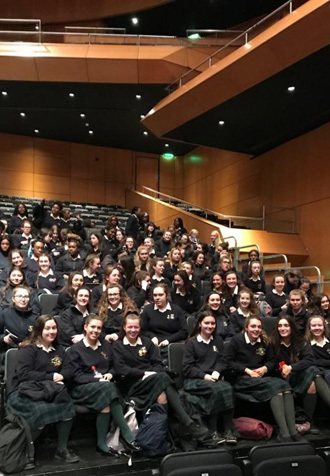 On Tuesday, 2nd years attended a talk in DIT for a talk on ‘Plastics and the Ocean’. TY students attended a talk on the “Physics of Martial Arts” in the Science Gallery. On Wednesday, students attended a lecture on ’ Careers in Chemistry’ hosted by the Royal Chemistry Society. 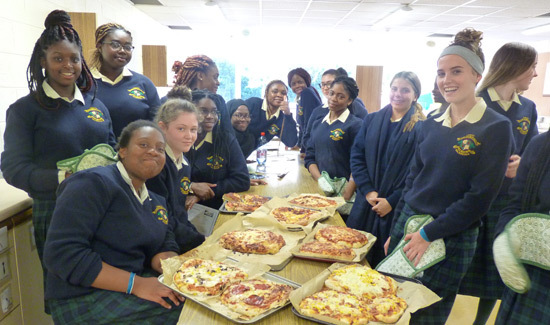 Two 2nd year groups attended a talk in DIT on the Zoological discoveries of Thomas Parke, the first Irish man to cross Africa. 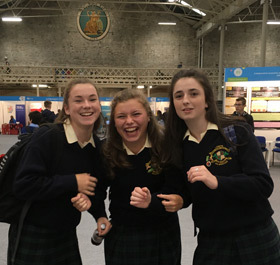 On Thursday, 6th year students represented the school at the ISTA Regional Senior Science Quiz in TCD and came seventh place out of 50 schools. 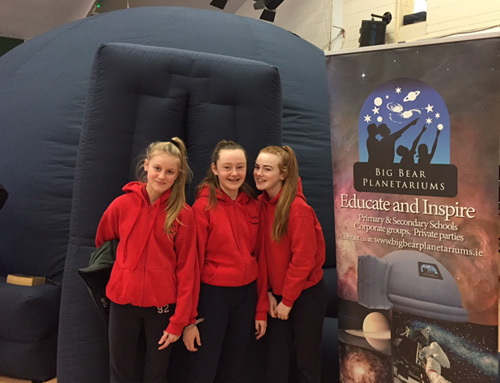 The week drew to an exciting conclusion when all 1st year students visited the Big Bear Planetarium. • 6th students attended a careers talk on course choices in UCD. 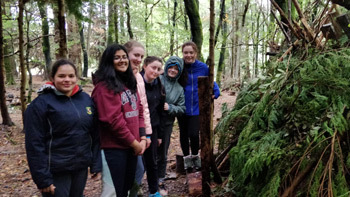 • On Monday, 54 6th Years commenced their investigations on a field trip for their Leaving Cert Geography Field Study. • All year groups and staff took part in Gaeilge 24, a Gael Linn initiative to promote speaking Irish in everyday life. Bhain na daltaí an-taitneamh as, nuair a labhair said as Gaeilge don lá af fad. • Third years attended a Jigsaw workshop on Monday. • All TY students attended a French play performed by a travelling French troupe. 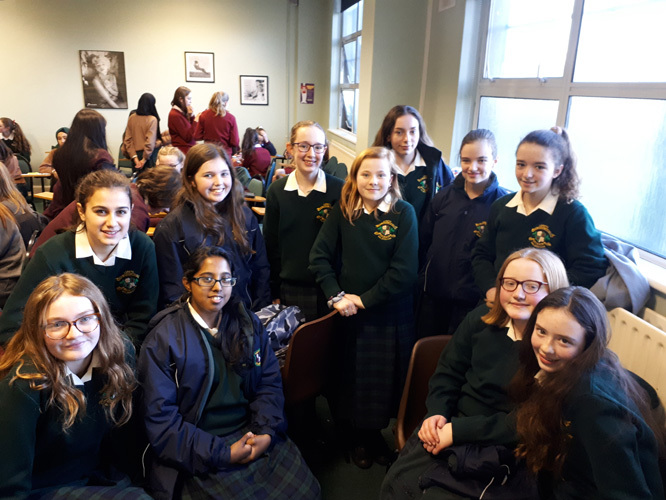 • Seven TY students attended a Trócaire workshop on land rights in Clonliffe College. • On Tuesday, guest speaker Nurse Adrienne McCleary spoke to all TY students on the importance of good breast health. • 46 students participated in a First Aid course on Thursday and Friday. 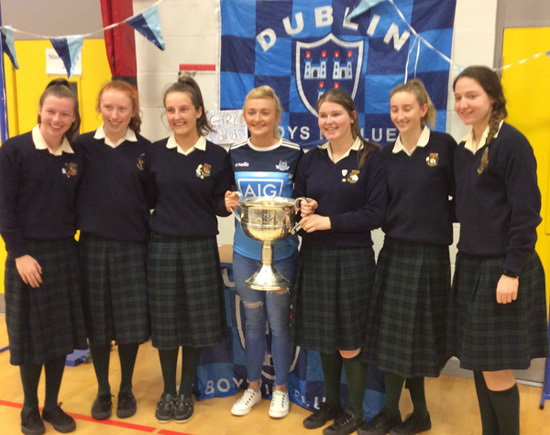 • Past Pupil, Carla Rowe, Senior Ladies’ Dublin footballer and All star visited the school on Friday with the Brendan Martin Cup. 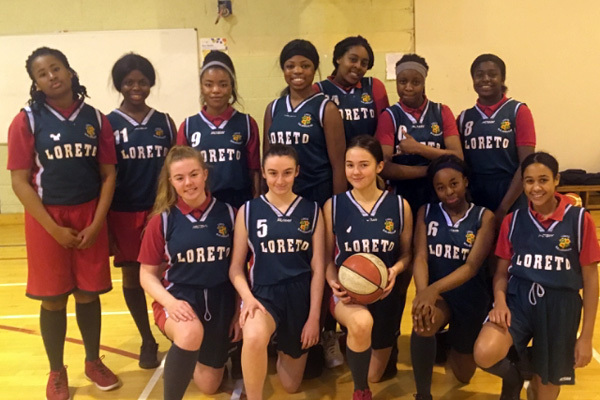 • On Friday November 10th, the U16 Basketball Team competed in the East Regional Girls’ competition where they were narrowly defeated by Portmarnock C.S. • Exam Week will commence on November 20th and continue until November 28th. • 3rd Year Parent Teacher Meeting takes place next Thursday 22nd November 3.15-6.45pm. 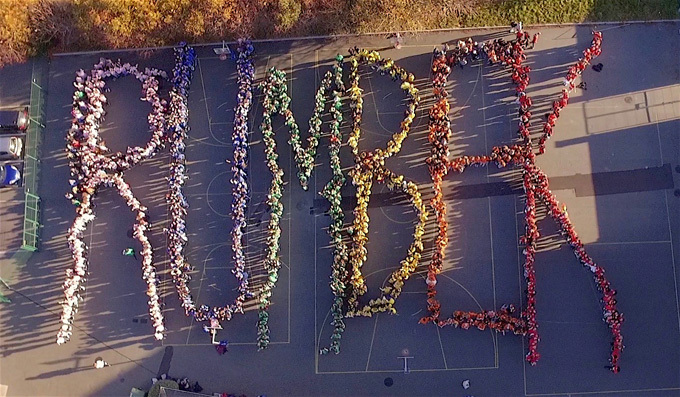 • On Friday 26th October we celebrated School Spirit Day in aid of our sister school in Rumbek South Sudan. It was a great day of celebration, and raised significant funds for a very worthy cause. There were competitions, musical recitals, dance performances and many fun activities. There were whole school and year group and class events to mark the day. Many thanks to the students and staff for engaging so fully and wholeheartedly in the celebrations on the day. 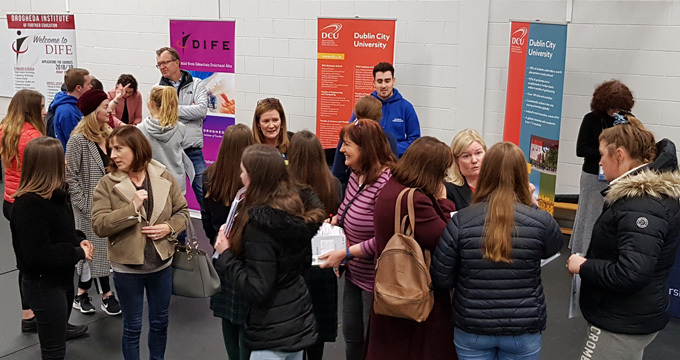 • On Wednesday we had huge numbers at our Careers Evening for all senior students. All the major Colleges and Institutions were present. The students had the opportunity to speak to people involved in a variety of professions and found it a very informative and helpful evening. Many thanks to all those who contributed to this very successful event. 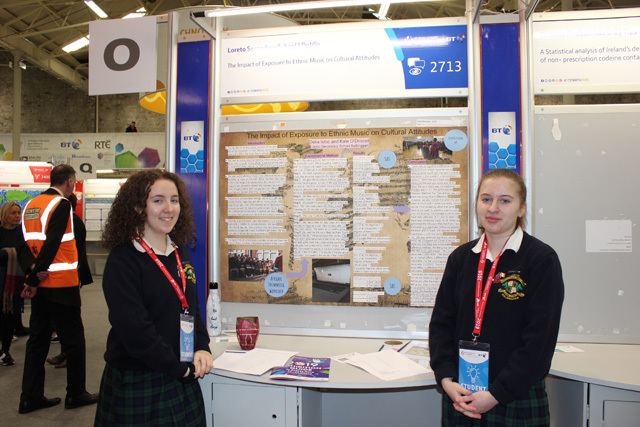 • Students Cleo Gallen and Hazel Austin represented the school in the Irish EU Science Olympiad in DCU. 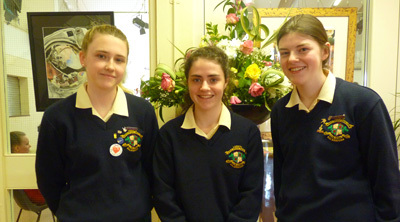 The girls were invited to compete due to their excellent Maths results in their Junior Cert. 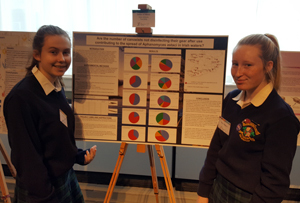 • Chloe Johnson and Tara Kelly were finalists in the SciFest National Competition on Friday with their project on Is the number of canoeists not disinfecting their gear after use, contributing to the spread of Aphanomyces astaci in Irish waters? They received an excellence in Stem award for their project. • The school orchestra visited St Molaga’s Primary School The students spoke about their instruments and performed “Galloping Home” from Black Beauty. • The JPIC team provided afternoon tea and Fair Trade coffee to sixth years on Thursday. 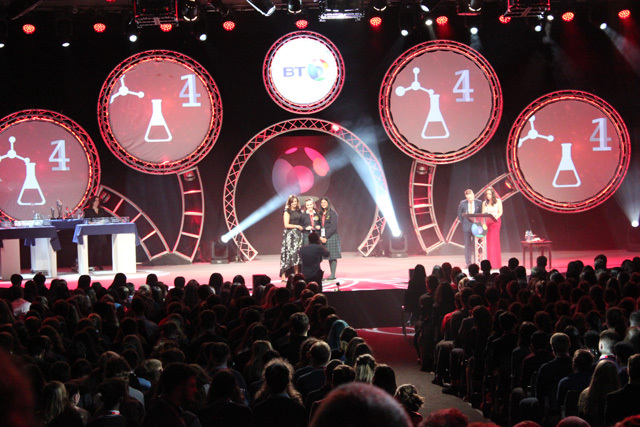 • There are six projects through to the BT Young Scientist Compoetition. Three Biological and Ecological, two Chemical, Physical and Mathematical Science and one in Social and Behavioural Science. Five of the projects are from fourth year and one from fifth year. Six is one of our highest number of entries in one year. 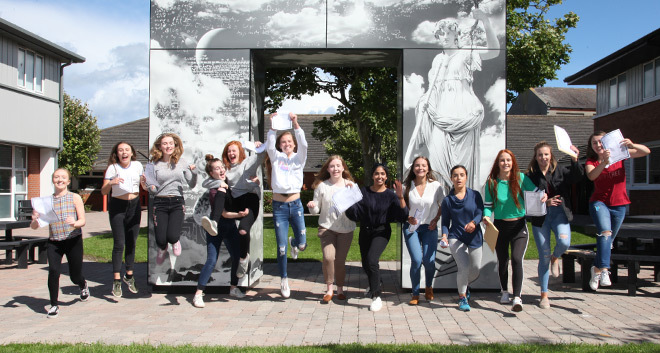 • On Wednesday Ms. Ryan’s 6th year history class visited the new Seamus Heaney exhibition at the National Library of Ireland, Kilmainham Gaol. They also visited an exhibition of photographs about the civil rights movement of Northern Ireland at the Gallery of Photography. 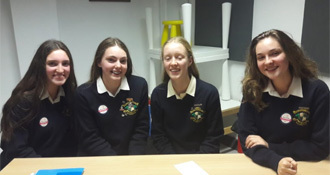 • The French debating team Aoife Conroy, Emma-Jane Power, Rachel Smyth and Alessandra Grosariu won their debate in the Alliance Française on Monday night. 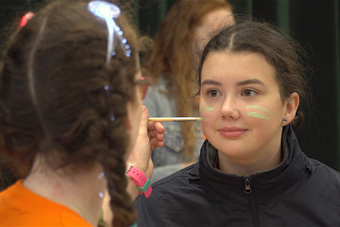 • Chuaigh scolairí ón gcúigiú bliain go dtí an drama ‘An Triail’ ar an Deardaoin. • 4A visited Balbriggan harbour to look at the new dome that was recently installed in the lighthouse. • 5th Year students presented their local history projects to the members of Balbriggan and District Historical Society on Wednesday evening. The projects were based on the sack of Balbriggan. • This week we celebrated Music week .There was a series of pop up concerts and workshops in the school. 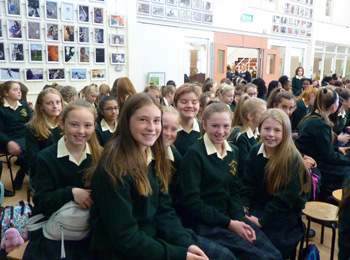 The students enjoyed recitals by the Senior choir, Ukelele group ,Trad group and in class performances. 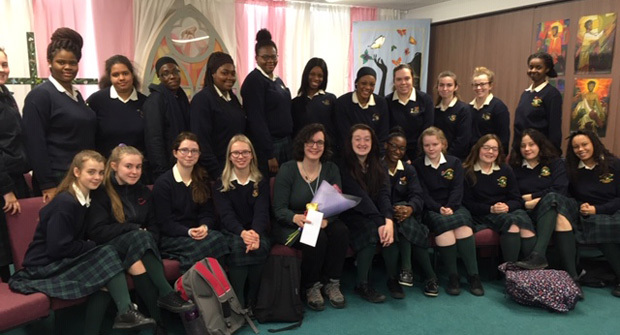 • On Wednesday we had the privilege to welcome Sr. Orla Tracey, Principal, and Sr. Pnina from Loreto Rumbek. The Sisters spoke to each year group about the wonderful work that they are doing for the people of South Sudan. Our annual Rumbek day took place on Friday. 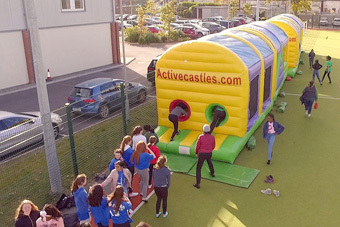 Each year group took part wholeheartedly in all the fun activities that were organised throughout the day. All money raised will go to Loreto Rumbek in South Sudan. Full details and photos will be posted on our return to school after mid term. 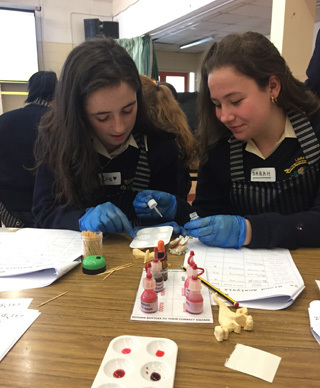 • On Tuesday and Wednesday TY students took part in a forensics workshop “Science2 Life” The girls found the experience to be very interesting and informative. 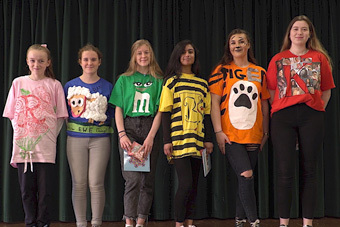 • TY students had their end of term showcase assembly on Wednesday. Various student committees and groups had the opportunity to speak and perform. Students were advised on the careers portal website and how to access information specific to work experience. The samba group also performed. 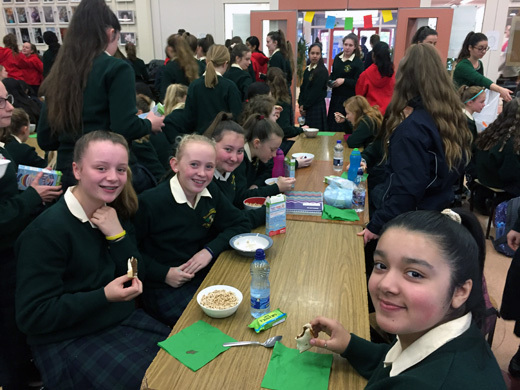 • There was a Cheerios Childline Breakfast on Wednesday morning with all 1st year students. Many thanks to Cheerios, Strathroy Dairies, Brennan’s Bread and Lidl who sponsored the event. 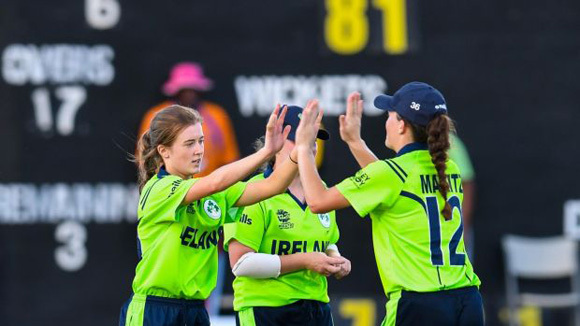 • Best wishes to Lara Maritz who travels to the West Indies this weekend to represent Ireland in cricket. • The Leinster Development officer and former Irish international player Kenny Carroll visited the school this week for a coaching session. 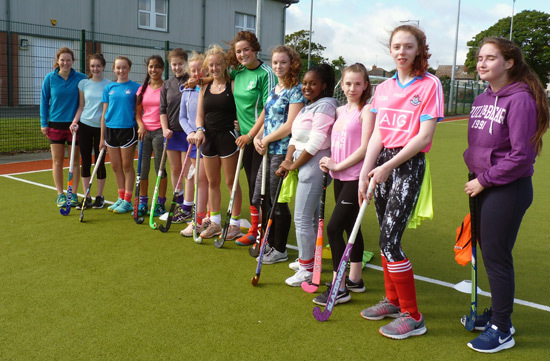 Some first years travelled to play in a hockey tournament in Loreto Foxrock on Wednesday. 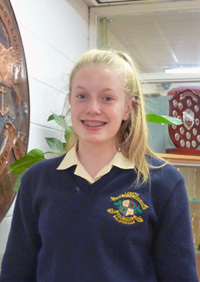 • Emma Fagan, 4H, competed won the girls U15-16yr 100m backstroke and came 2nd in the 100m fly in the Leinster Schools’ Championships. Emma goes forward to represent the school in the Irish Inter pro schools finals next March (right). • 1C were the winners of the First Year Gaelic interclass blitz. • There will be a careers fair on Wednesday 7th November 7pm-9pm. All the major universities, colleges and Institutes will be present on the night. With that in mind we are looking for people to help promote various careers. If you feel that you are in a position to help, please contact [email protected]. Furthermore if you are a past pupil and would like to promote your career could you contact us at [email protected]. In the email could you please put the year you left the school. Many thanks in advance for your help. • Reminder: 6th Year Parent Teacher Meeting will take place on Monday 5th November from 4.15pm to 6.45pm. • The school will be closed from Monday 29th October and reopen on Monday 5th November. 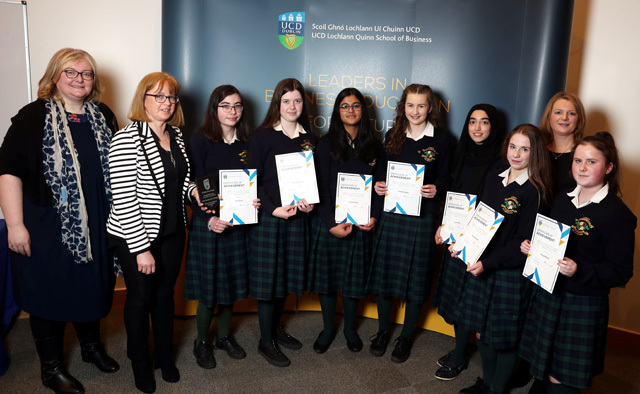 • On Wednesday 5th Years Chloe Johnson, and Tara Kelly and Third years Mizna Shahid, Jennifer Bura and Alana Foy-Nicolleau received Order of Merit awards at a prize giving ceremony for the John Hooper Statistics Medal in The National Concert Hall. The Central Statistics Office runs this competition and the award ceremony coincides with Maths week. 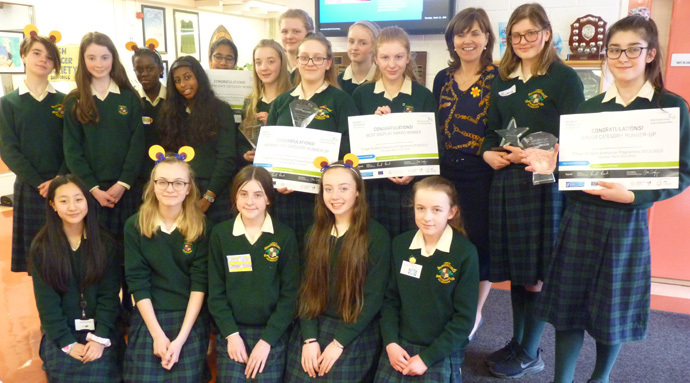 • 3rd years competed in the UCD Junior Schools debating competition last week. 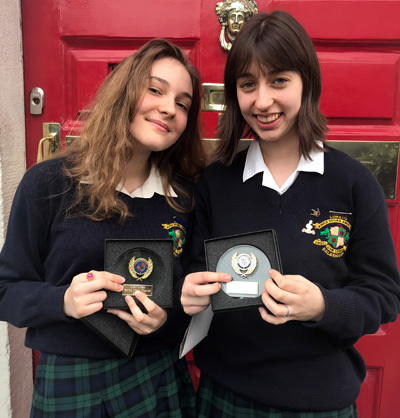 Congratulations to Doireann Comiskey and Éabha McLoughlin who came second in their debate. The competition will continue over the coming weeks. • Maths week took place this week. Students had the opportunity to explore Maths in a fun and interesting way by taking part in the various activities that were organised throughout the week. 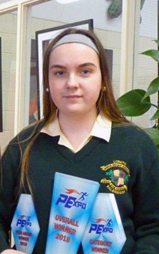 • Congratulations to Jaia Kavanagh who presented her PEXPO winning project to 280 PE teachers last weekend at the National PE conference. 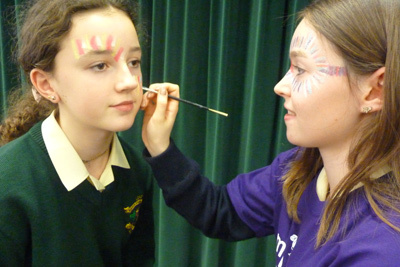 • Fundraising Committee took part in Face Painting on Friday in aid of Temple Street Hospital. • First year class 1C have written this month’s edition of the “Geography in the News” . Their news included Storm Michael, Storm Callum and the Indonesian Earthquake. 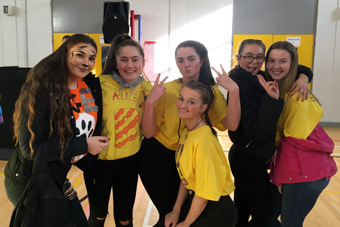 • First year senior prefects organised a Halloween quiz as the first event of the year for all the 1st Years on Tuesday. The winning team were 1B “Ghosts” and 1G pumpkins. 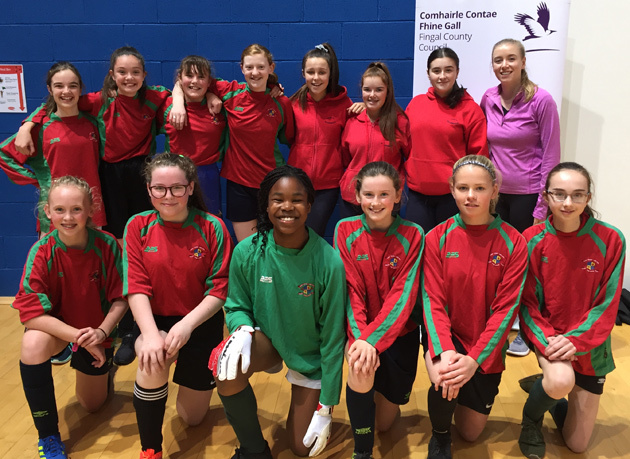 • On Tuesday our first year Futsal team won the Fingal and North Dublin Regional final. They will go on to play in the Dublin final in November. • Students getting ready to distribute the Rumbek t shirts to all classes for Rumbek day next Friday. 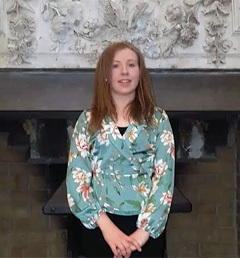 • Congratulations to Eibhlin McCarthy who was awarded an upgrade in her LC Mathematics results. 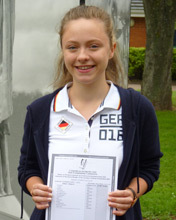 Eibhlin is the second student along with Marie Louise Fufezan to achieve over 600 points. • Many thanks to Sr Ann Farron and her team for facilitating the 5th Year retreat. The focus of the retreat was Ignation Spirituality. • A group of TY students participated in a Photography Course with Tim Durham this week and we look forward to seeing the results. 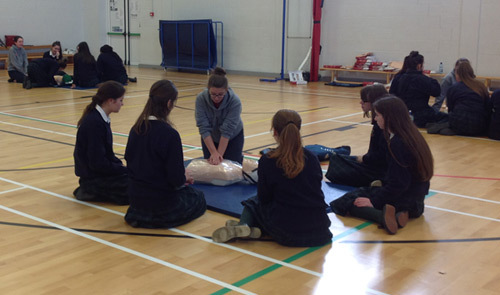 • 3rd, 4th, 5th and 6th years were trained this week in CPR compressions by members of the Order of Malta. 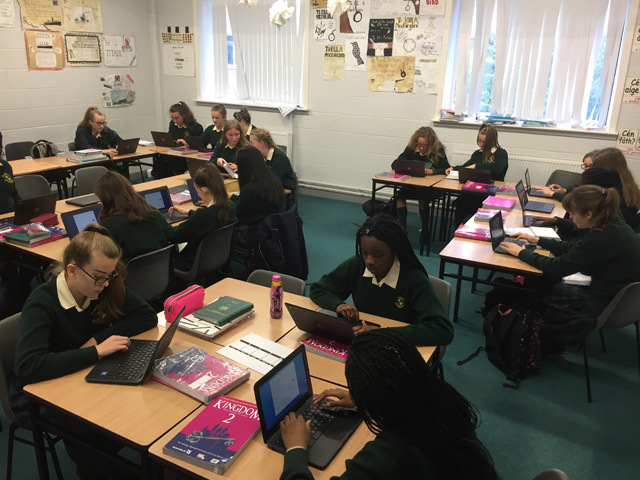 • Ms Briscoe’s 2nd year English class was the first group to avail of the new set of chrome books . The new technology will be an excellent educational resource in helping the students prepare for the JC. 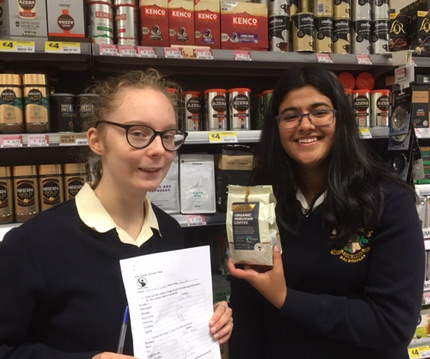 • TY JPIC module visited local supermarkets on Tuesday to source Fair Trade products and to research the country of origin of many popular products. 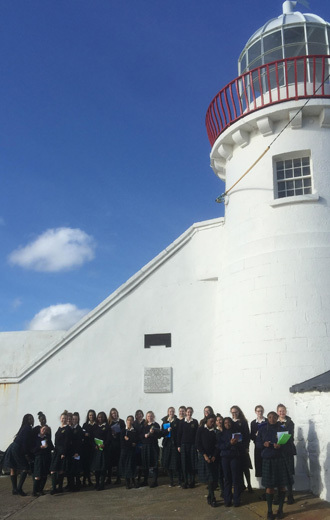 • 4th year Local History students visited the local harbour to see new dome on the Balbriggan lighthouse. • There will be careers fair on Wednesday 7th November 7pm-9pm. All the major universities, colleges and Institutes will be present on the night. With that in mind we are looking for people to help promote various careers. If you feel that you are in a position to help, please contact [email protected]. Furthermore if you are a past pupil and would like to promote your career could you contact us at [email protected]. In the email could you please put the year you left the school. Many thanks in advance for your help. 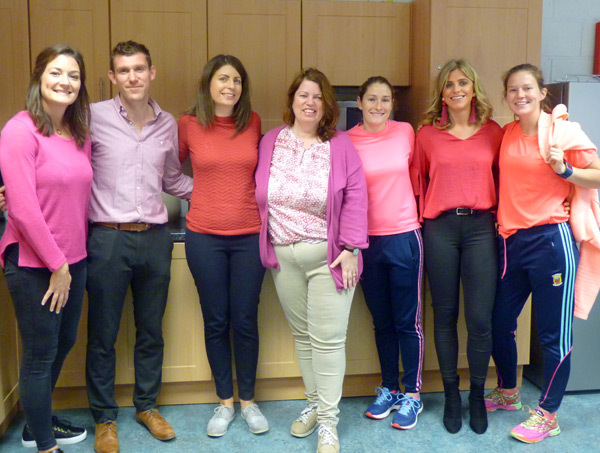 • October is Breast Cancer Awareness month; many staff members wore pink today in an effort to raise awareness. • Reminder that all first year acceptances for September 2018 must be returned to the school by October 21st. 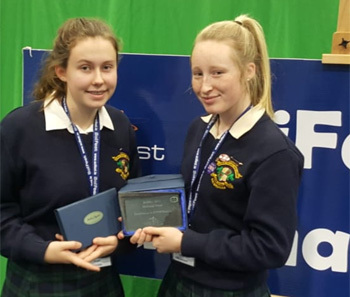 • Congratulations to Cleo Gallen and Hazel Austin who, based on their excellent Junior Certificate results, were invited to participate in the Irish Science Olympiad which will take place in DCU in November. • Our 23rd Annual Art Exhibition on Tuesday evening was a great success. Congratulations to all the exhibitors and a special thank you to the Art teachers and Art captains who worked extremely hard in preparation for this event. Much of the displayed work was JC work for 2018. 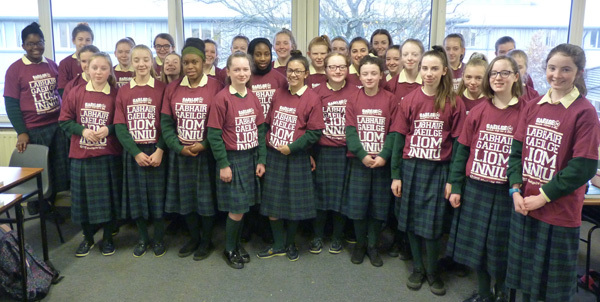 Congratulations to the 79% of these students who achieved ‘A’ grade at Junior Cycle, a remarkable achievement. • On Monday two TY JPIC module groups visited the Department of Foreign Affairs Irish Aid Offices. They participated in lively workshops exploring the impact of poverty on Malawi , an Irish Aid partner country. Topics such as Climate change, the Sustainable Development Goals and the positive influence of the Irish Aid programme were also explored. The TYs also engaged in a treasure hunt of Social Justice issues on Grafton Street and finished the day with a picnic in the Iveagh Gardens. 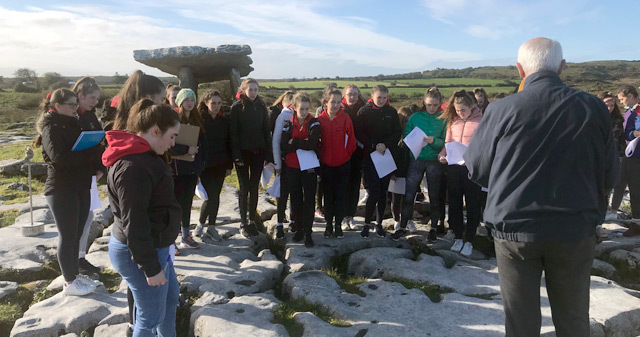 • One hundred and thirty 3rd year students left on Thursday for the Geography Department’s annual trip to the Burren. The group visited Bunratty Castle, the Aillwee Caves and The Cliffs of Moher. 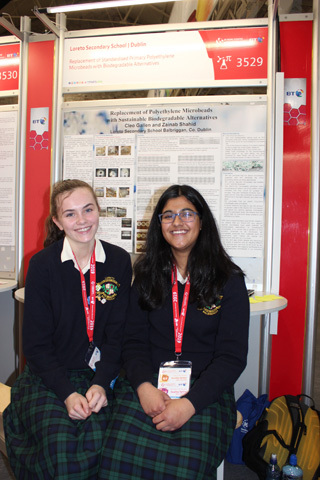 • Mizna Shahid, Jennifer Bura, Alana Foy-Nicolleau, Chloe Johnson and Tara Kelly achieved Orders of Merit in the 2018 John Hooper Medal for Statistics poster competition for their posters "Investigating the Effect of Silver Nanoparticles on Probiotics" and "Are the Number of Canoeists not Disinfecting their Gear After Use Contributing to the Spread of Aphanomyces Astaci in Irish Waters?". 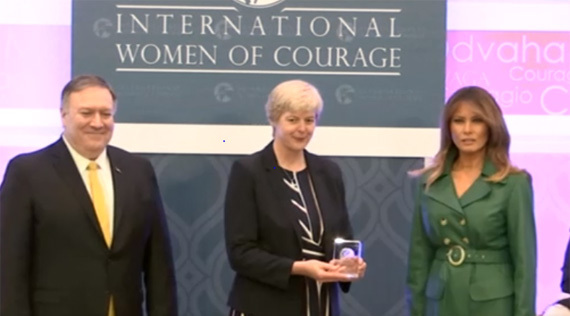 An award ceremony will take place in the National Concert Hall in Dublin on Wednesday, 17 October 2018. 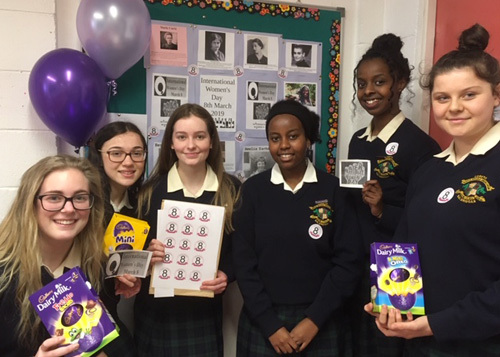 • Congratulations to the following students on their election to the Student Council: 1st Year - Emma Parkes, Grace El Shamy, Aisha El Said; 3rd Years - Favour Odum, Sarah Willis, Stephanie Lawani; 5th Years - Nadine Patterson, Shauna Martin, Ciara O’Reilly. 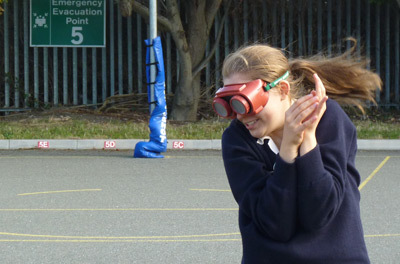 • A Run-a-Mile challenge was held for all 5th Year students on Thursday. Participation levels were extremely high and the "elite" race, which is for the better runners, was run at an extremely fast pace. Well done to the winner Rachel Smyth who ran the race in 5.53sec. • Well done to the Senior Camogie team who played their first match of the 2018-2019 season on Tuesday. The team is taking part in the Senior 'A' competition this year. They played Dominican College, Griffith Avenue, in a very entertaining game. The full time score was 5-6 to 4-9. Well done to all girls involved. 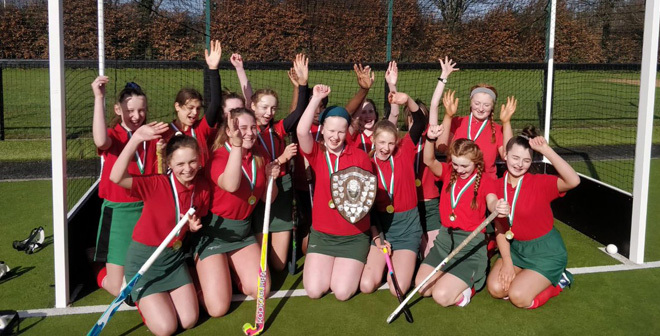 • The past week was a busy time for our senior hockey teams. Our senior A team played Skerries Community College which ended in a draw. Monday saw the first of our Leinster Division 1A matches take place and resulted in a win against Teresians. The team went top of Leinster Division 1A on Wednesday with a win against Mount Temple. 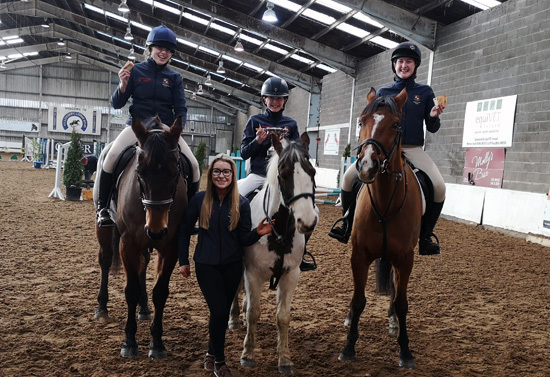 • Congratulations to both junior and senior equestrian teams who competed in the first leg of the Killossery Interschools’ competition yesterday, particularly to the senior team who placed third. • There will be a careers fair on Wednesday 7th November 7pm- 9pm. All the major Universities, Colleges and Institutes will be present on the night. With that in mind we are looking for people to help promote various careers. If you feel that you are in a position to help, please contact [email protected] Furthermore, if you are a past pupil and would like to promote your career could you contact us at [email protected] In the email could you please put the year you left the school. Many thanks in advance for your help. • On Tuesday an information meeting was held here in the school regarding the new Junior Cycle Programme. Many thanks to Mr. Garvey and Ms. Synnott for organising a very informative evening. 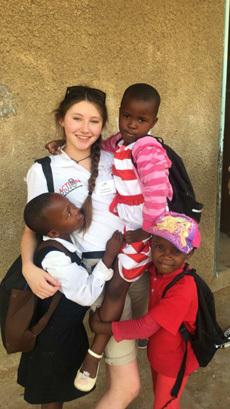 Hannah McKenzie whose photo features in the brochure. • 9 TY students have commenced the School link programme. 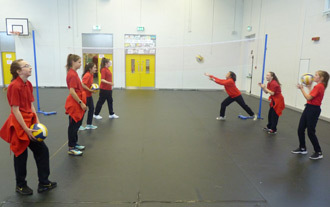 This involves TY students assisting teachers in two of the local primary schools every Thursday morning for two hours. We are very grateful to the primary schools who offer this wonderful opportunity to the students. The programme has proven to be very successful and worthwhile over the years. 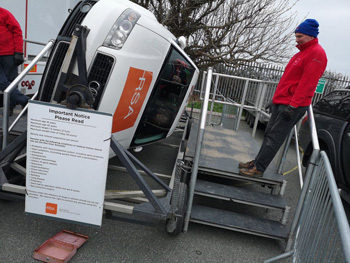 • Transition Year road safety module students learned the dangers of driving with alcohol by trying simple tasks while wearing goggles that distort their vision. • A group of English students that are reading Wuthering Heights went to Haworth in Yorkshire last Thursday. They visited the Bronte parsonage and had a guided tour of the moors and village. the year you left the school. Many thanks in advance for your help. delighted to have the opportunity to take part in the various activities and visit this fabulous national amenity. 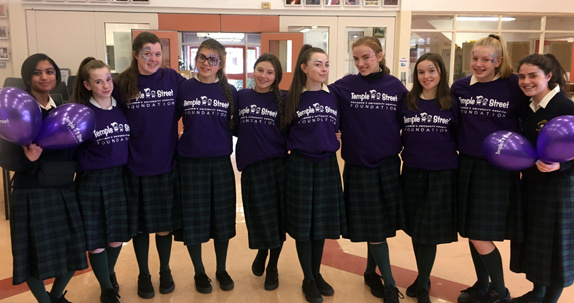 • Twinning meetings between 1st and 5th Year students are ongoing each week at lunchtimes. • On Wednesday the u16 and u19 Basketball teams played against Ashbourne Community School in the opening games of the East Regional League. Congratulations to the u19 team on their excellent win. Well done to all who participated. • Well done to our students Fiona Tolan and Kim Dalton who took part in the Irish Schools Golf Championships in Clontarf Golf Club. groups will be displayed. Not to be missed and all are welcome. 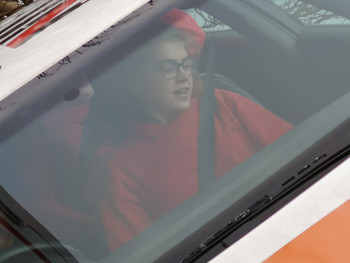 • Locals in Balbriggan were puzzled by the amount of Loreto students walking through the town last Tuesday afternoon. The answer was simple, all students and staff were going to the Church to celebrate the start of our new school year with our annual School Mass. 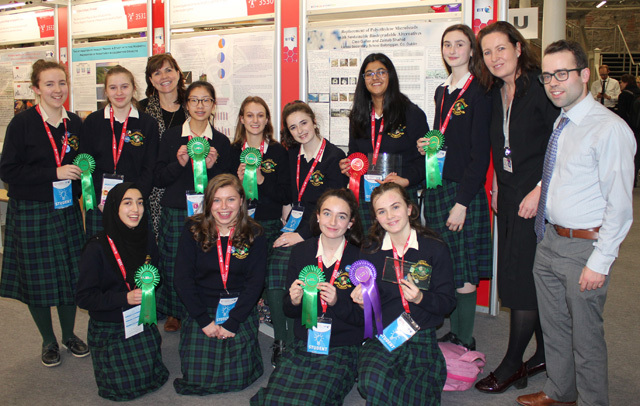 • A group of our science students went to the 30th EU Young Scientist Competition hosted in Dublin in the RDS. 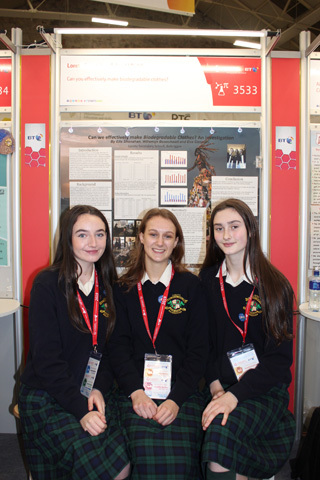 The girls got to learn about research carried out by second level students from around Europe and USA as well enjoying the science shows that were put on. 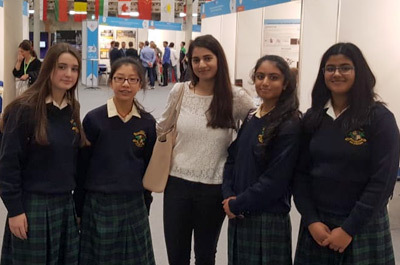 The girls got to meet past pupils Diana Bura, Khadija Gulla, Rhenunka Chintapalli and Maria Louise Fufezan who volunteered to help out at the event. 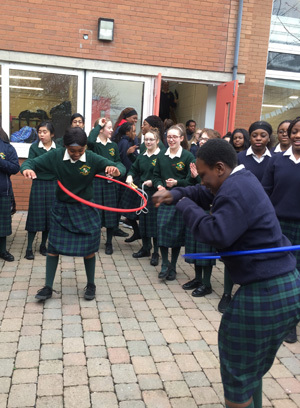 • On Friday 5th year and 3rd year students took part in the NCCA Senior Cycle Review. Loreto Balbriggan is one of 41 schools chosen to take part in this very important study. • We are proud to say that our past pupils Carla Rowe and Oonagh Whyte were part of the winning Ladies’ Gaelic Team who won the Brendan Martin Cup last Sunday in Croke Park. Congratulations to Carla who was awarded “Player of the Match”. Well done girls you are both great role models and we are very proud of you. • TY students completed their DATS tests on Monday. 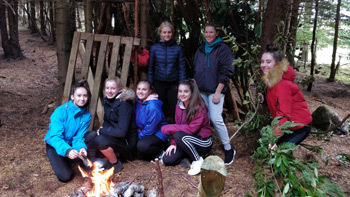 • There was great excitement this week as the TY students and teachers headed off to Kippure for their annual Outdoor Pursuits Trip. Hopefully they did not get too wet! 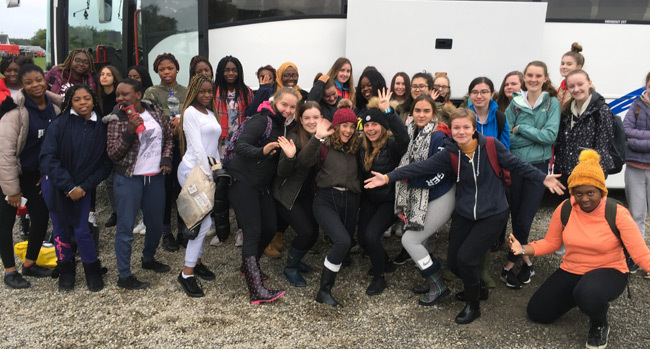 • Another TY group was lucky enough to head to the National Ploughing Championships, where they were not so lucky with the weather. 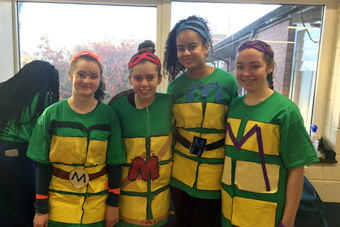 • On Friday a group of TY students enjoyed a day full of activities from a quiz and pizza making in the morning to a film in the afternoon. Thanks to all the staff who made the day so enjoyable for the girls. • The AGM of the Parents Association was held on Tuesday Evening. The guest speaker was Dr Harry Barry, who spoke on “The Anxious Adolescent”. Many thanks to Dr Barry who delivered a very informative and interesting talk. • We are delighted to announce that there will be a careers fair on Wednesday 7th November 7pm-9pm. All the major universities, colleges and Institutes will be present on the night. With that in mind we are looking for people to help promote various careers. If you feel that you are in a position to help, please contact [email protected]. Furthermore if you are a past pupil and would like to promote your career could you contact us at [email protected]. In the email could you please put the year you left the school. Many thanks in advance for your help. Please note the school will be closed next Friday, 28th September. 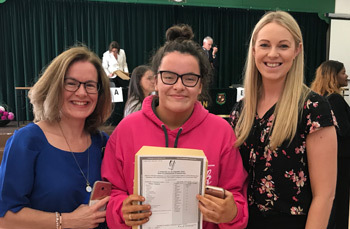 • On Wednesday our students received their Junior Cert results. We are very proud of all the girls who worked so hard to achieve such success. 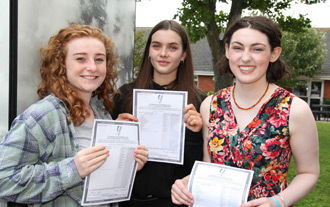 Congratulations to Eva Connolly, Cleo Gallen and Willemijn Bosscahaert who achieved all “A” grades in their Junior Certificate Examinations. • Our Annual school Mass will take place next Tuesday at 1.45pm in St Peter and Paul’s parish church. This is an important liturgical event in our school calendar and all students with the exception of TY students are expected to attend. • Twinning lunches are taking place between 5th and 1st Years in the Hall over the next two weeks. • DATS tests will take place on Monday 17th from 9.10am – 1.20pm for TY students. They have already received an information sheet. • On Tuesday 18th September we will hold our Parents’ Association AGM. Our speaker on the night will be Dr. Harry Barry who will talk on “The Anxious Adolescent”. Keep this date in your diary. • We are delighted to announce that there will be a careers fair on Wednesday 7th November, 7-9pm. All the major universities, colleges and institutes will be present on the night. With that in mind we are looking for people to help promote various careers. If you feel that you are in a position to help, please contact [email protected]. Furthermore if you are a past pupil and would like to promote your career could you contact us at [email protected]. In the email could you please put the year you left the school. Many thanks in advance for your help. • All applications to enrol first year students for 2019 must be returned to the school office no later than 8pm on Wednesday 19th. To facilitate processing applications, the school will be open 2-4pm and 7-8pm. • Congratulation to our Senior Prefects, Captains, Co-ordinators, Head Girl and Deputy Head Girls who all received their leadership badges on Thursday. 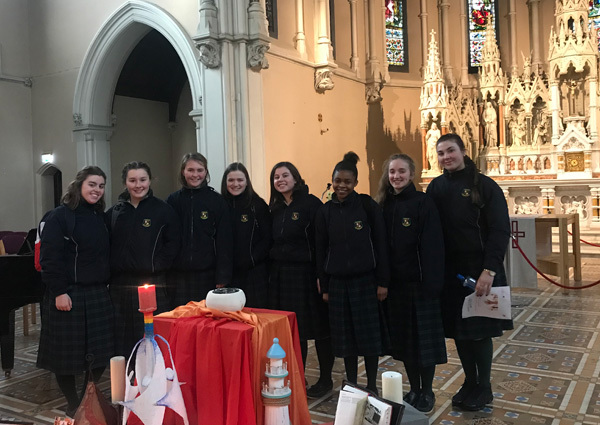 • A number of sixth year students completed their training to become a Eucharist Minister. • Eight fifth year students attended training for The Ember Programme in Ovoca Manor this week. 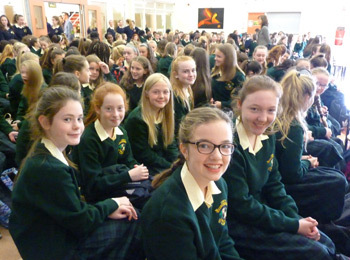 The programme is co-ordinated by the Archdiocese of Dublin Education Secretariat. The students were given the opportunity for faith reflection and to develop their communication skills, listening skills and planning skills. It was a very enjoyable three days of training. Congratulations girls on receiving your certificates and Ember badges. • On Thursday the first years met their fifth year twin. The programme establishes a support link between 5th and 1st year students to help with first year induction into the school. 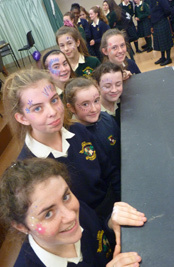 • There was great excitement in the hall on Thursday morning when the TY Musical was announced. 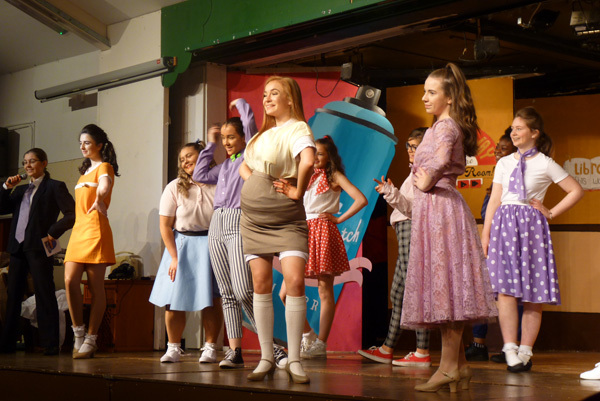 This year Loreto Balbriggan will perform ‘Hairspray, This will be Loreto Balbriggan’s 23rd Production. 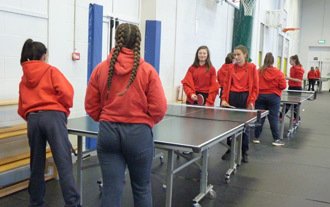 A number of TY students will participate in the school link programme again this year. 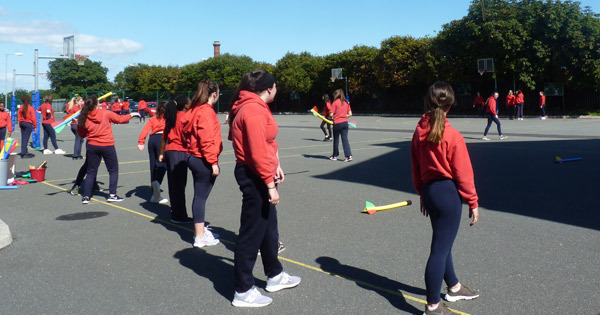 • Sports Taster Day was held on Monday for Transition Year students to sample activities in which they might like to participate. Many thanks to the Senior Sports Captains who helped out on the day. • We would like to welcome everyone back to Loreto Balbriggan. There is a great energy around the school as students begin the new academic year. We look forward to a year of commitment, achievement, success and above all joy. 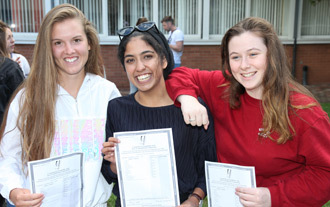 • Congratulations to all our 6th Year students on their wonderful Leaving Cert results. 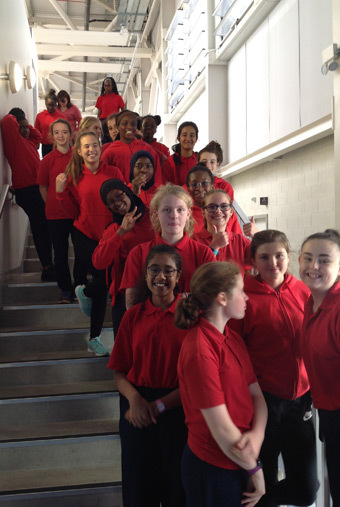 Almost 20% of the girls achieved over 500 points with 50% achieving over 400 points. We are very proud of the girls as we know how hard everyone worked and it certainly paid off. Our very best wishes go to all the girls as they begin a new chapter in their lives. What exciting times lie ahead! • While we said a final goodbye to our 6th Years we said hello to a very special group of students....our new 1st Years. On Friday 24th, 210 very excited young ladies arrived for their first day of secondary school. We are delighted to have the girls with us in Loreto and we look forward to six wonderful years with them. 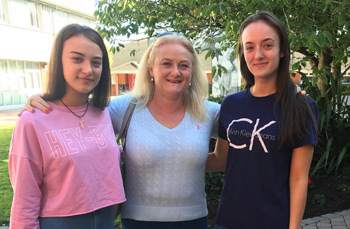 • While the majority of students were on holidays, a group of 5th and 6th year students were busy participating in the DCU/Berklee Summer Groove School from the 1st-3rd August. These students were hugely privileged to receive music tuition from some of the top jazz teachers from Berklee College of Music, Boston. The 3-day course was attended by a very talented group of young musicians from across the Fingal area and culminated in a wonderful concert performance in the Bracken Court Hotel. 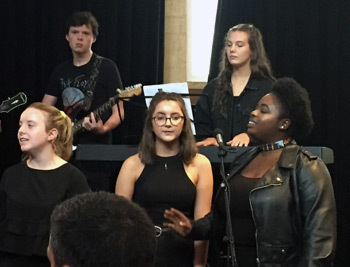 The students formed a variety of different line-ups and performed a number of jazz, funk and soul standards such as Lady Bird, Cissy Strut and Mr Clean. 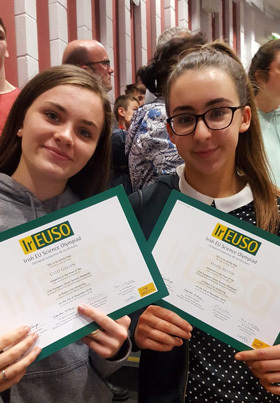 Particular congratulations go to the musical contributions of Sydney Sterio who was awarded a certificate of outstanding musicianship and Kate O'Kelly who was presented with a highly regarded Berklee Online course. Best wishes also to Gwen Samuel and Hazel Lattimore who were both invited to audition to attend Berklee for undergraduate study. 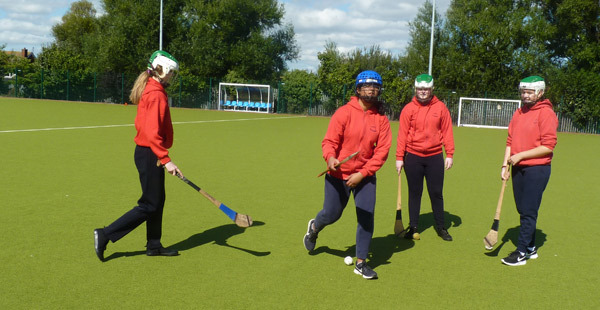 • Sports Taster Day was held on Friday for First Year students to sample activities in which they like to participate during their time here. Many thanks to the Senior Sports Captains who helped out on the day. 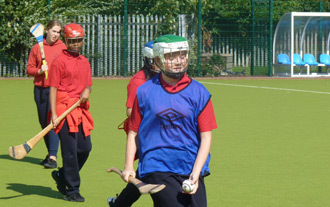 • The Loreto All Ireland Hockey Championships will take place in mid September. In preparation for the competition Ms Moore held a number pre season training sessions. The dedication of all involved is to be admired. The very best of luck girls. • On Tuesday 18th September we will have our Parents’ Association AGM. The speaker on the night will be Dr. Harry Barry and he will about “Emotional Resilience”. Please save the date in your diary. More information to follow. 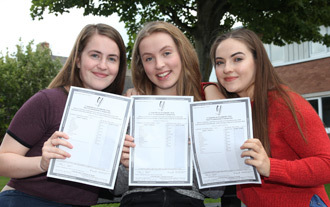 Well done to all our leaving certificate students for their fantastic results last Wednesday. Almost 20% of the students achieved over 500 points and a phenomenal 50% or more passed the 400 point mark. The school are extremely proud of the students who worked so hard to achieve these results. We wish to acknowledge the dedicated work of the teachers in preparing the girls for this exam. It goes without saying that the strong foundation provided at home is at the root of this success. As the cycle begins again we welcome all our new first years who began their orientation programme this Thursday morning at 9.20.